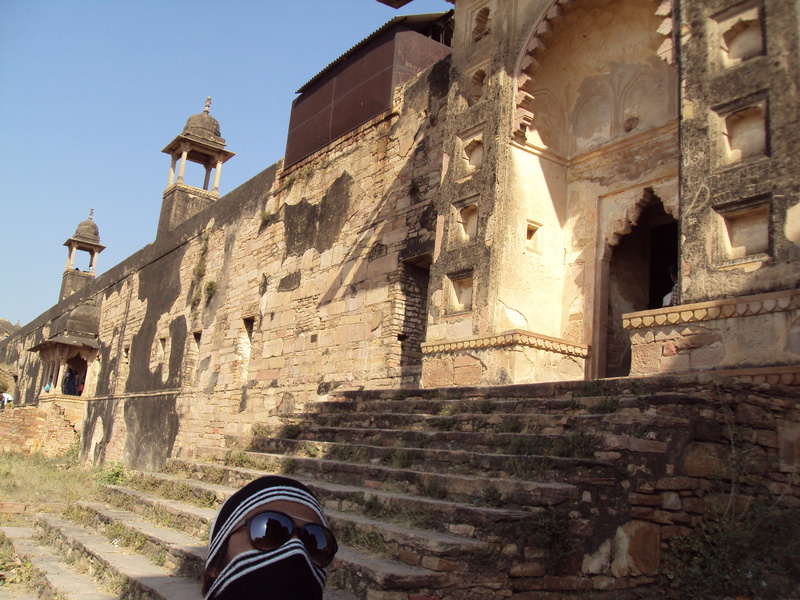 MUMBAI – MAHARASHTRA – INDIA APRIL 29 , 2012 01.30 A.M.
After finishing sight – seeing of Datia on February 27th and Gwalior on February 28th , I still had one day left . 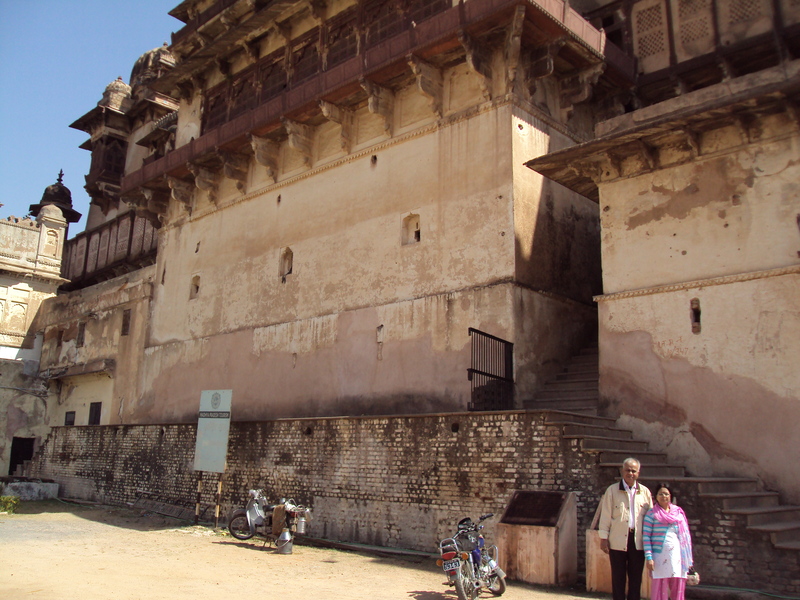 So I decided to visit Orchha also . I had visited it once . 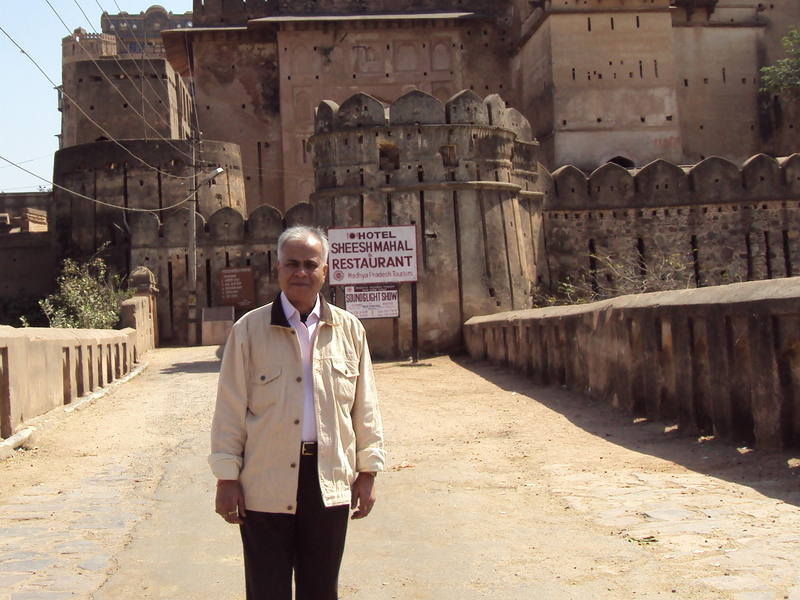 Many years ago I went to Jhansi for the thread ceremony of my nephew Ashwary Chaturvedi and after the ceremony was over , I went to Orchha . But I reached there in the night , so I could visit only the temple . 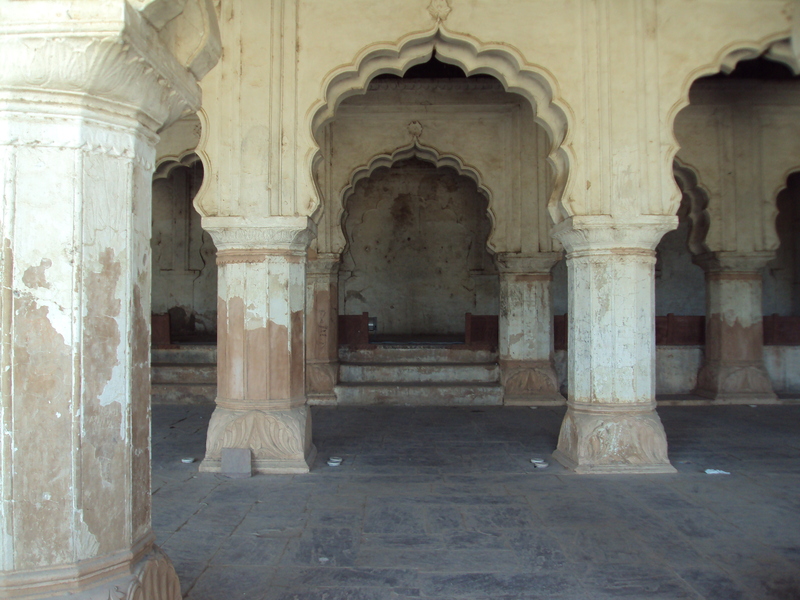 Orchha Fort complex was closed . I returned with a heavy heart . So I was not willing to let this opportunity go again . This time I started from Dabra in the morning on February 29th . 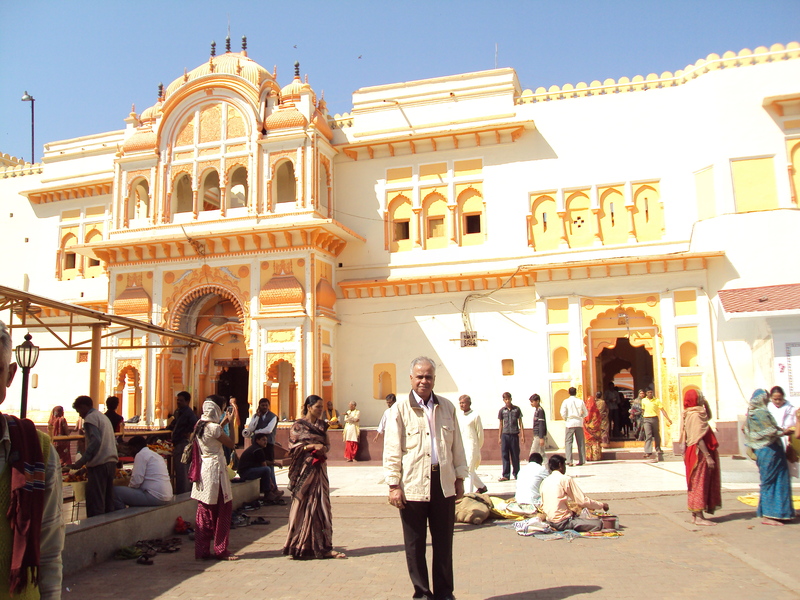 I passed through Jhansi and since Orchha is only 16 kilometres from Jhansi , I reached there before noon . 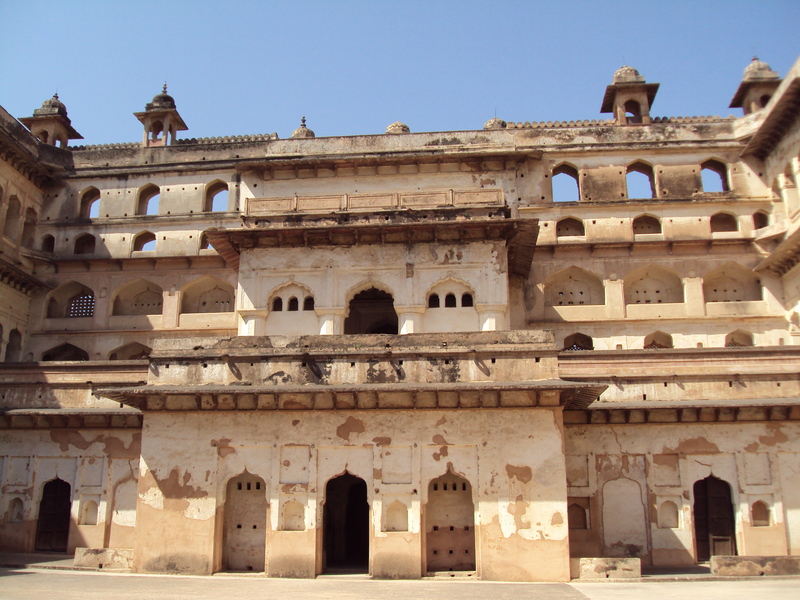 Orchha town was built in the 16th century by Bundela Rajput chieftain Rudra Pratap on the banks of rocky Betwa river . 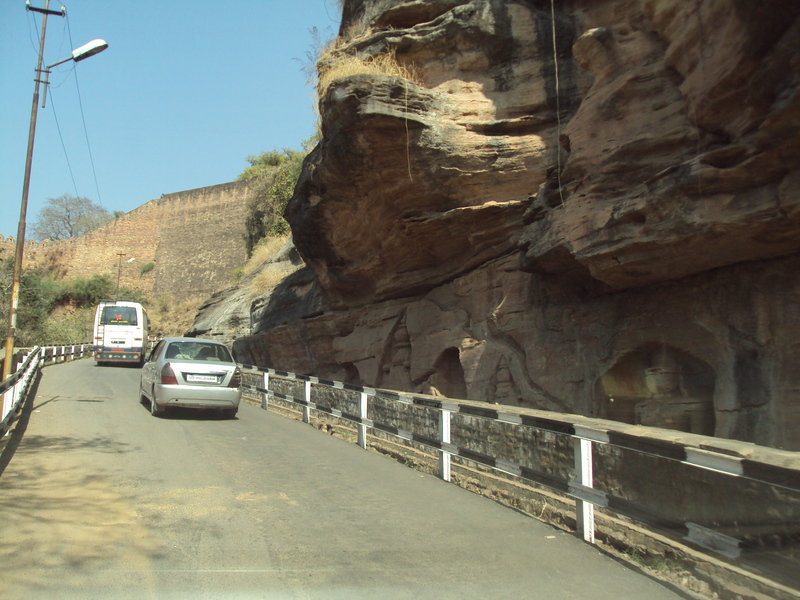 Situated on Jhansi – Khajuraho road , it comes under Tikamgarh district of Bundelkhand region of Madhya Pradesh . 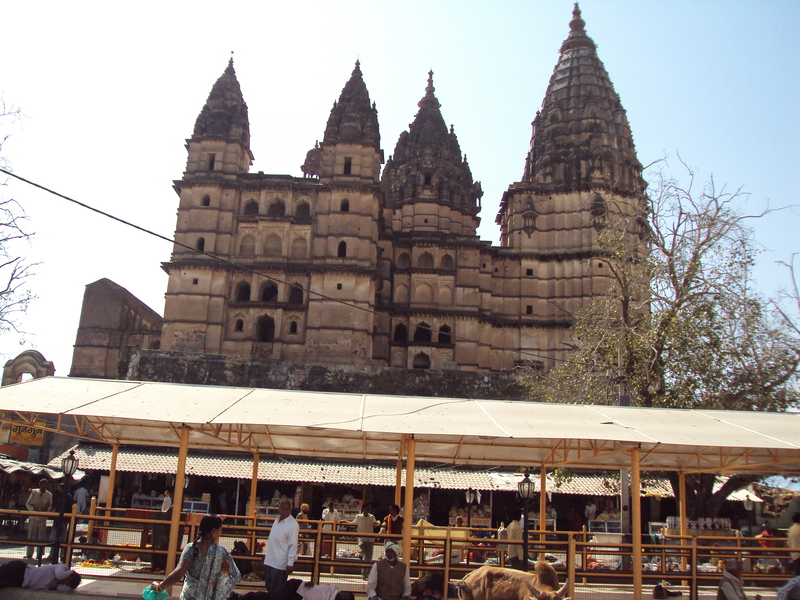 Orchha is 170 km from Khajuraho and 16 km from Jhansi . 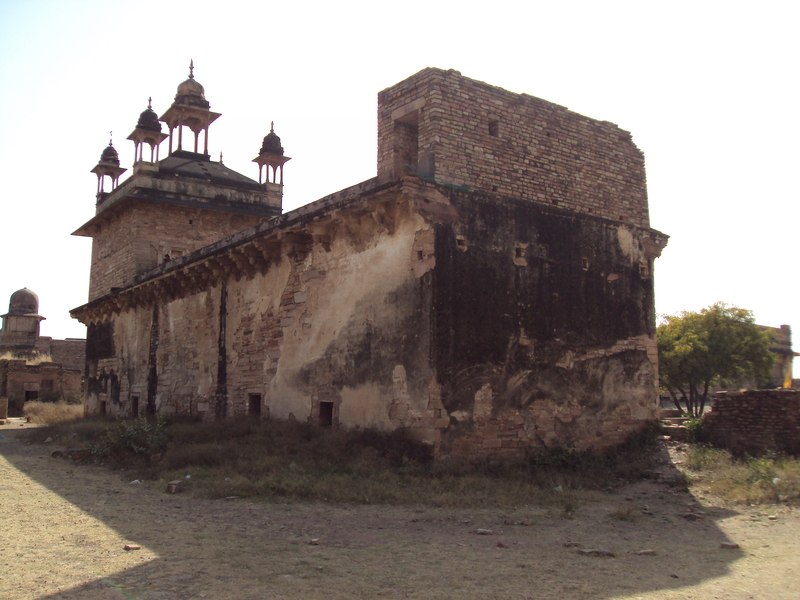 Rudra Pratap’s successor Bir Singh Ju Deo developed Orchha city in the 17th century . 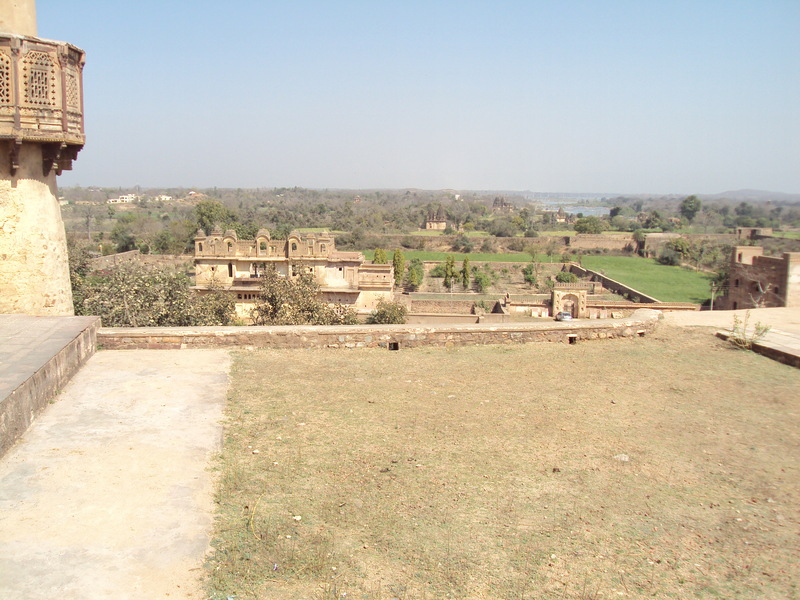 Orchha means hidden and in true sense of the term , Orchha is really hidden from the concrete jungles of modern-day .Even today it is a small town of few thousand people . 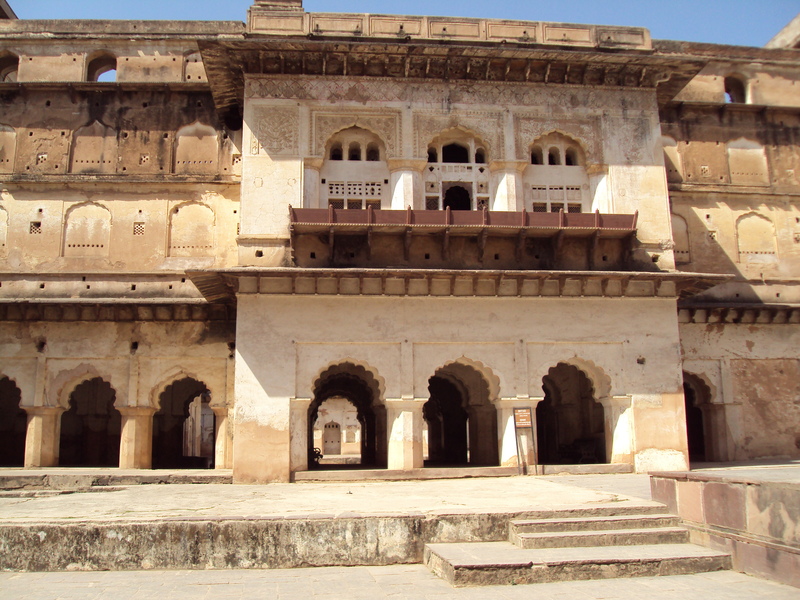 Starting from the 1531 AD , Bundela rajputs ruled Orchha for almost two centuries . 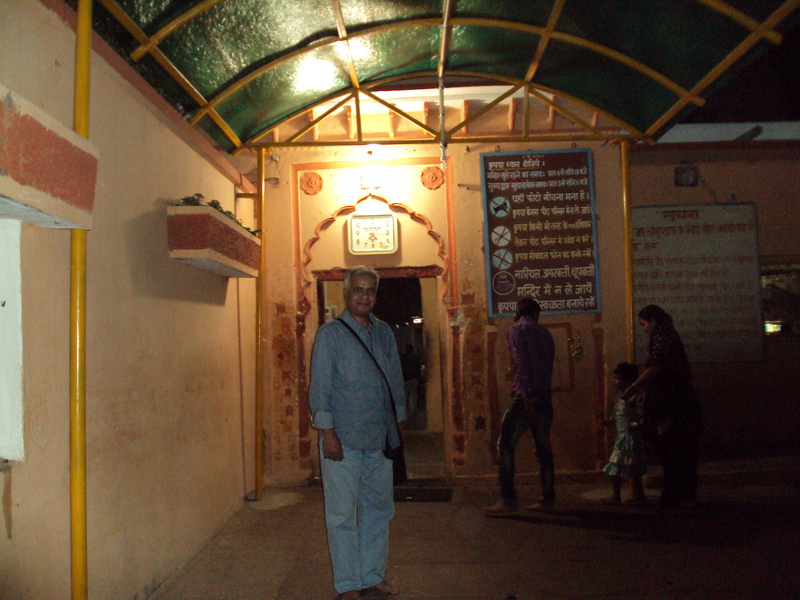 I first went to see Raghunath Ji temple . 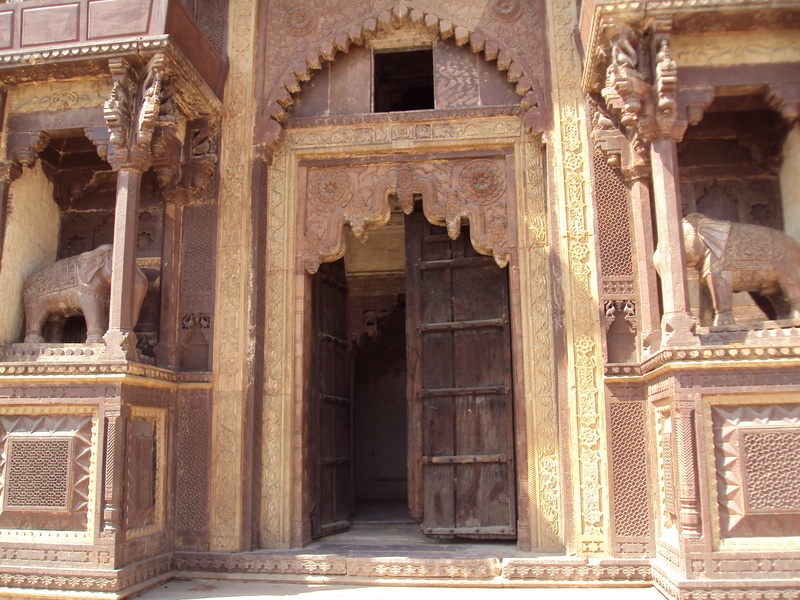 Idols of Bhagwan Ram , Sita and Lakshman are worshipped in a palace like structure . 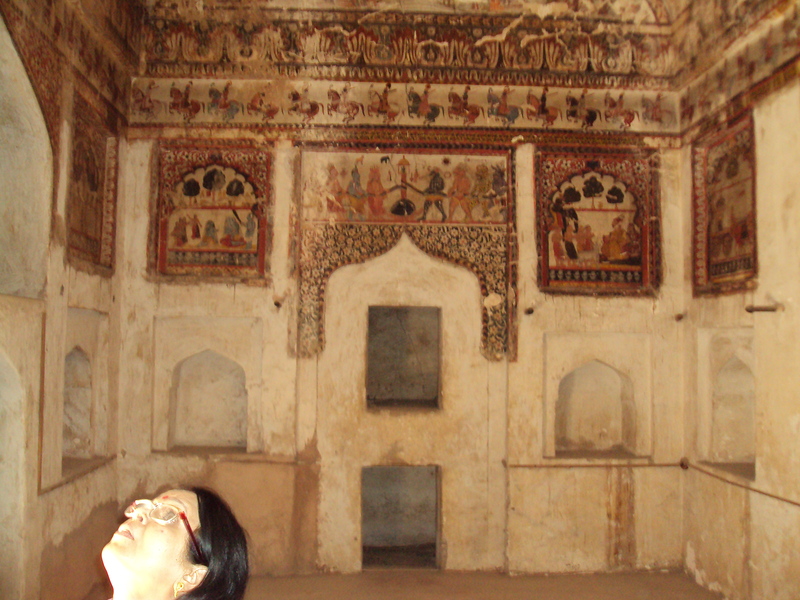 It is said that queen of Orchha brough the idols from Ayodhya . 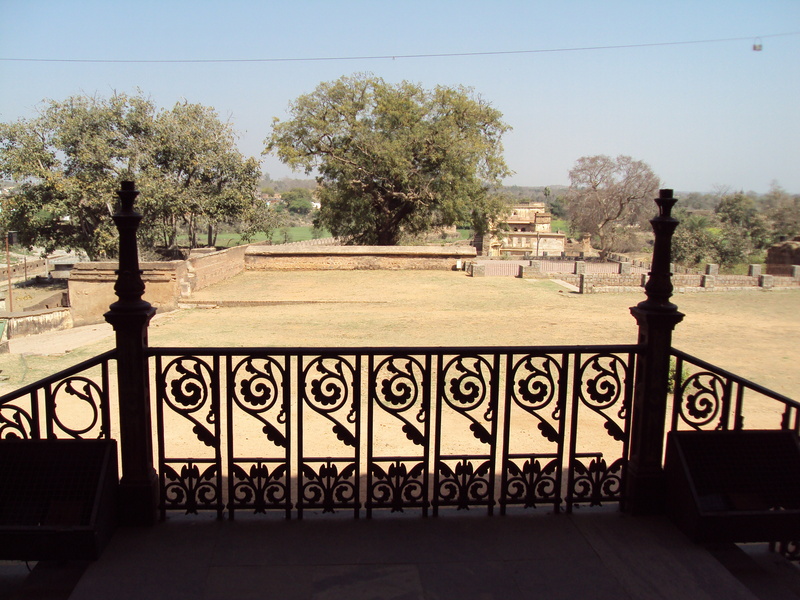 King of Orchha constructed a grand temple for the idols . 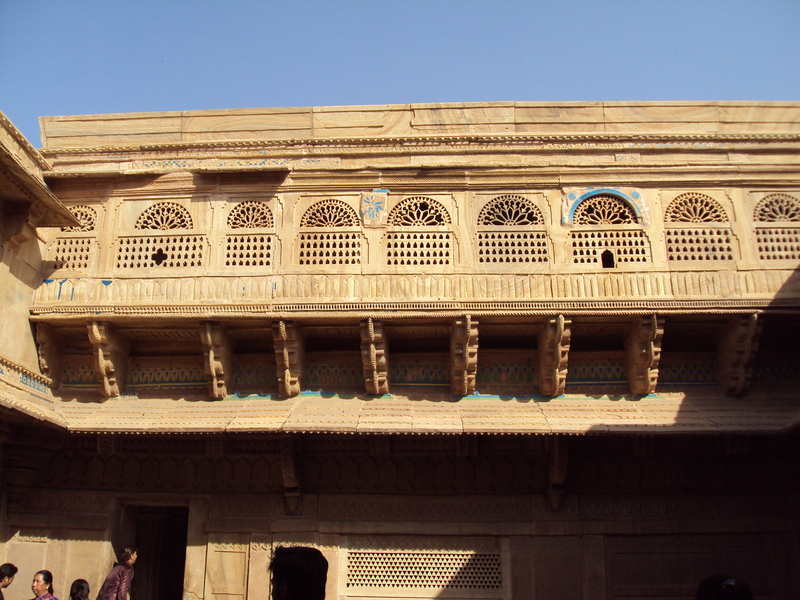 This structure is known as Chaturbhuj Temple . It was ordained that the idol will remain where it will be kept first . 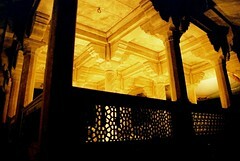 When queen reached Orchha , it was night . 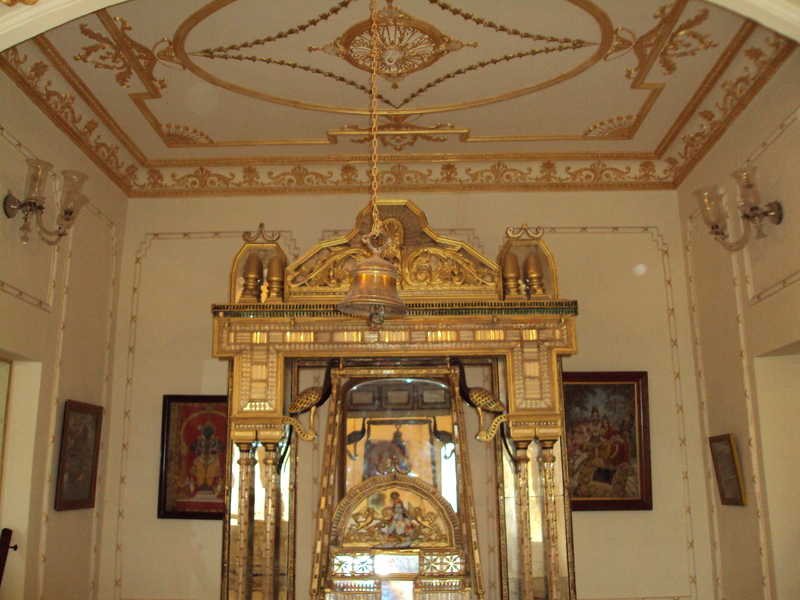 Thinking that she will place idols in the main Chaturbhuj temple in the morning , queen kept the idols in her palace . 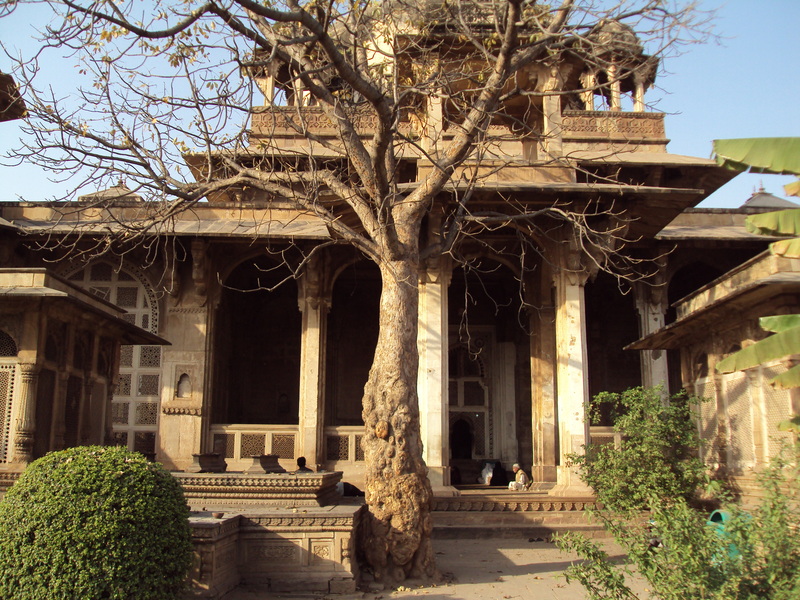 In the morning , when queen tried to remove the idols from her palace to put it in the sanctum-sanatorium of Chaturbhuj temple , she failed . 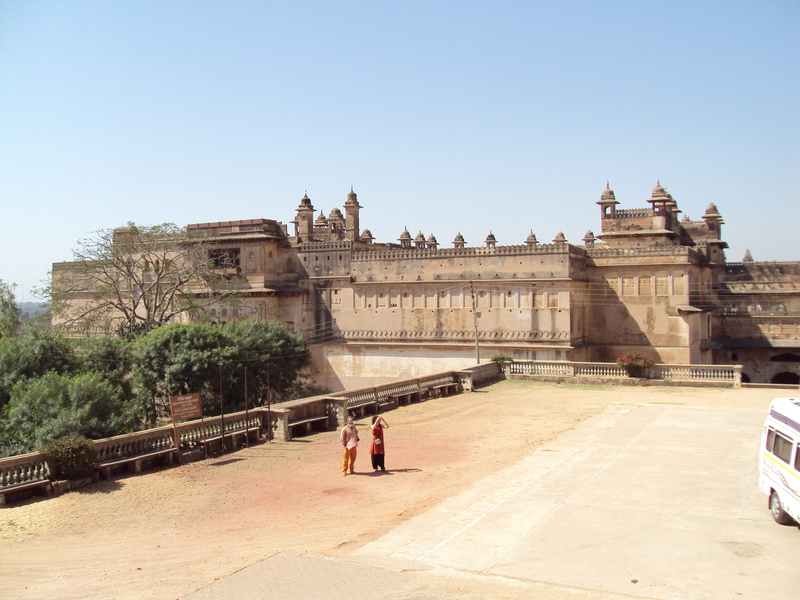 And since then her palace became the de – facto temple and grand Chaturbhuj temple , even today , remains vacant . After darshan , I proceeded towards Fort complex . 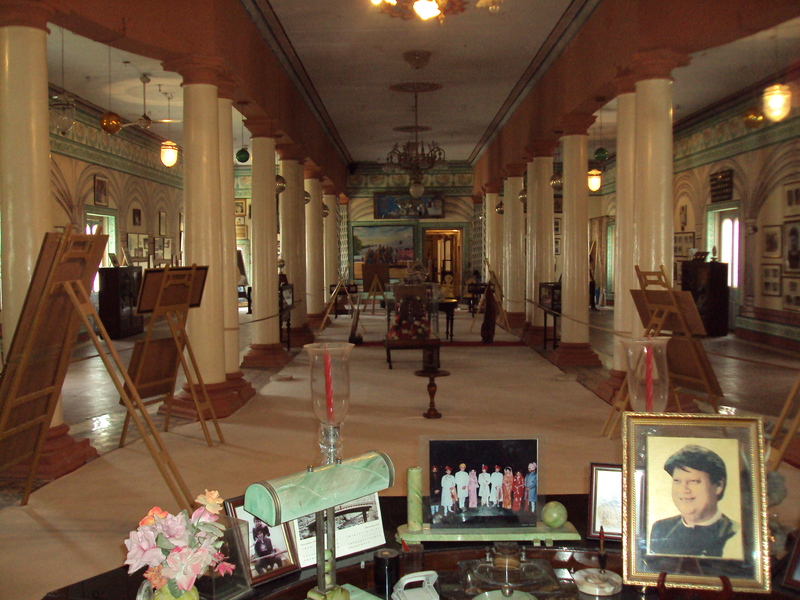 The complex has many palaces . 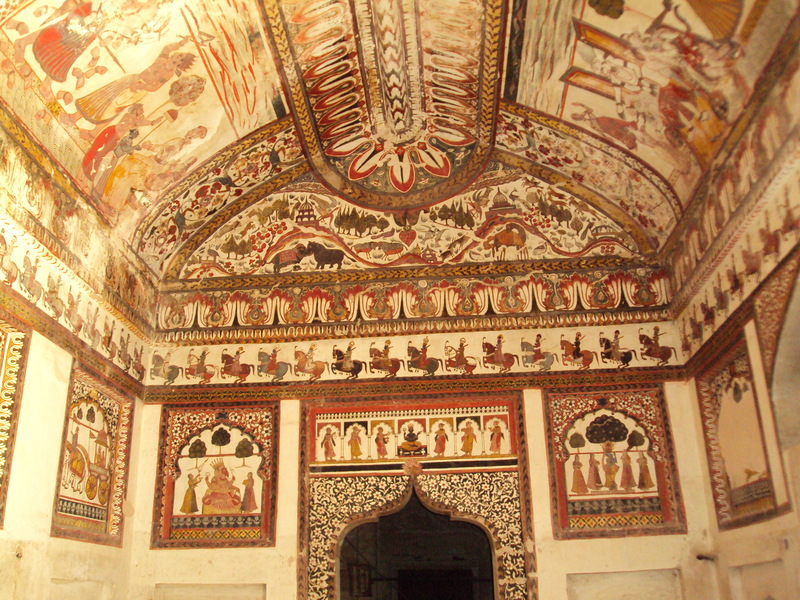 Raja Mahal , Rai Praveen Mahal , Jahangir Mahal are magnificient example of Bundela art and architecture . 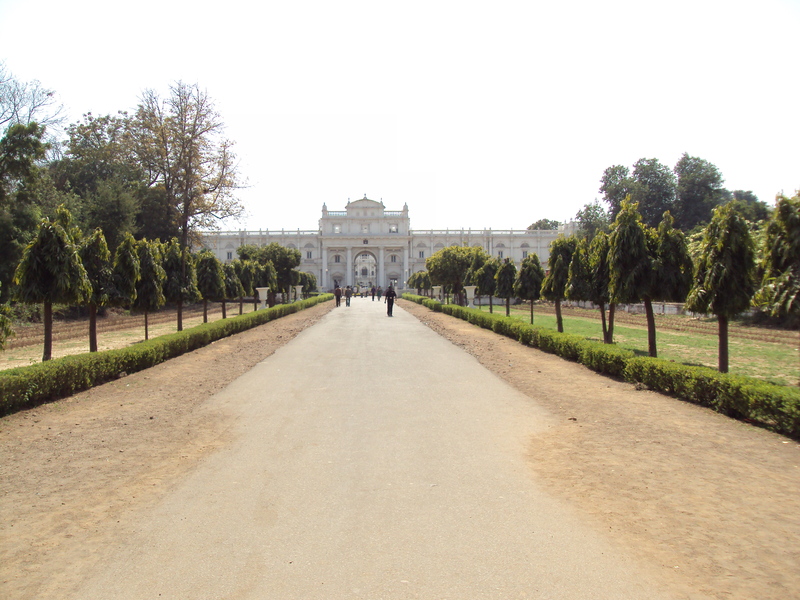 I started from Deewan – E – Aam and Raja Mahal . 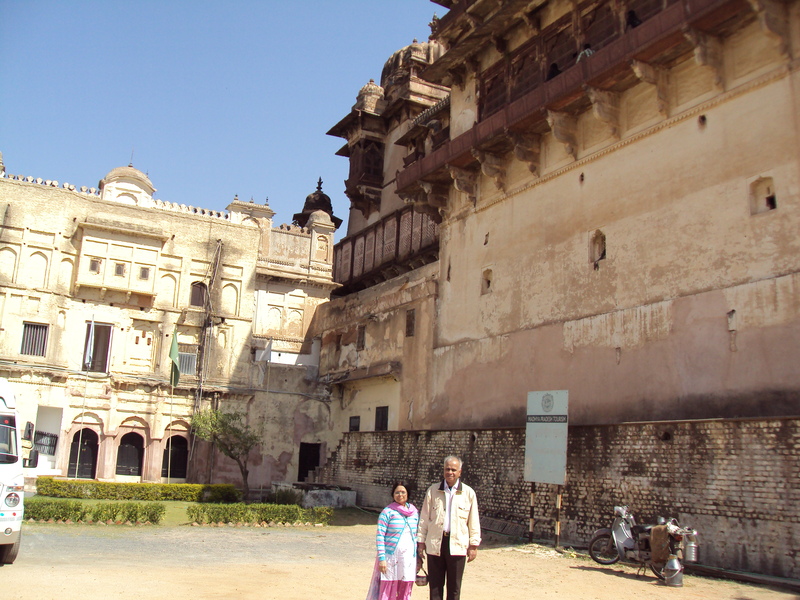 After Raja Mahal , I proceeded for Jahangir Mahal with my wife . 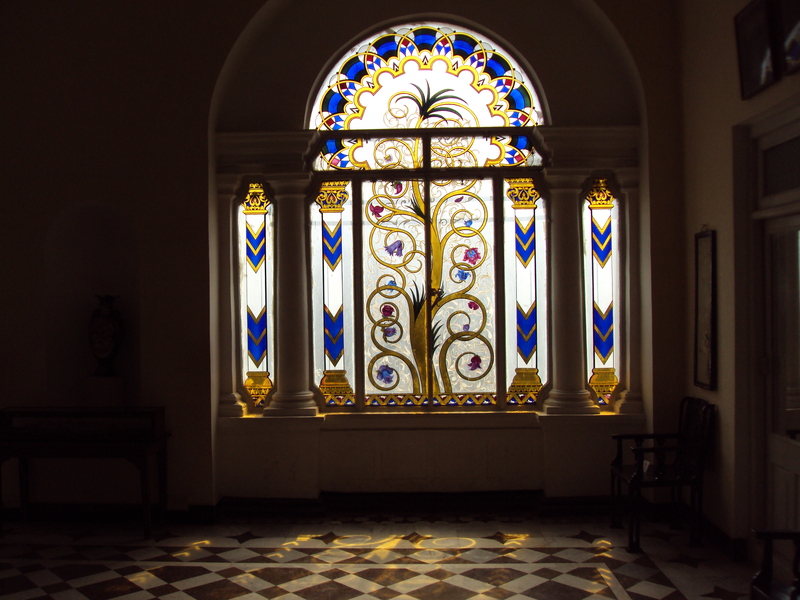 We entered in the palace from the back entrance . 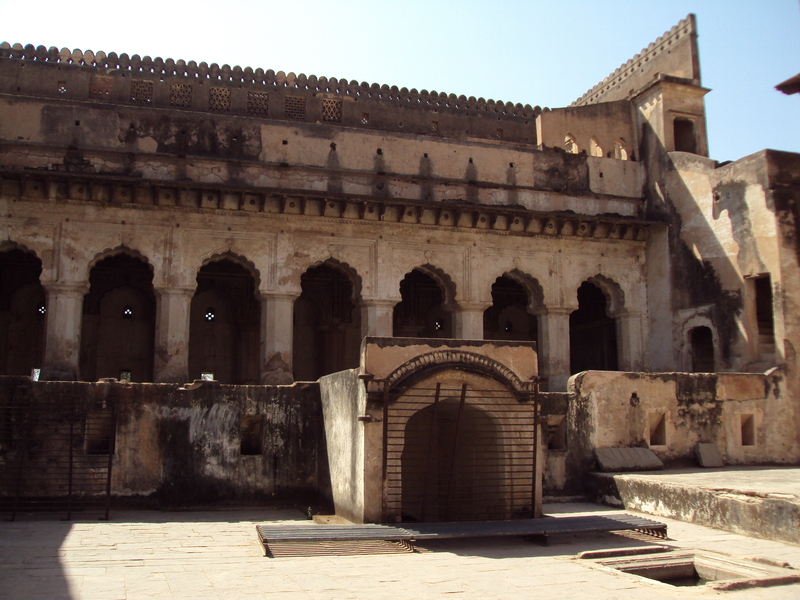 This palace was built by Bir Singh Ju Deo in the early part of 17 century to commemorate Jahangir’s Orchha visit . 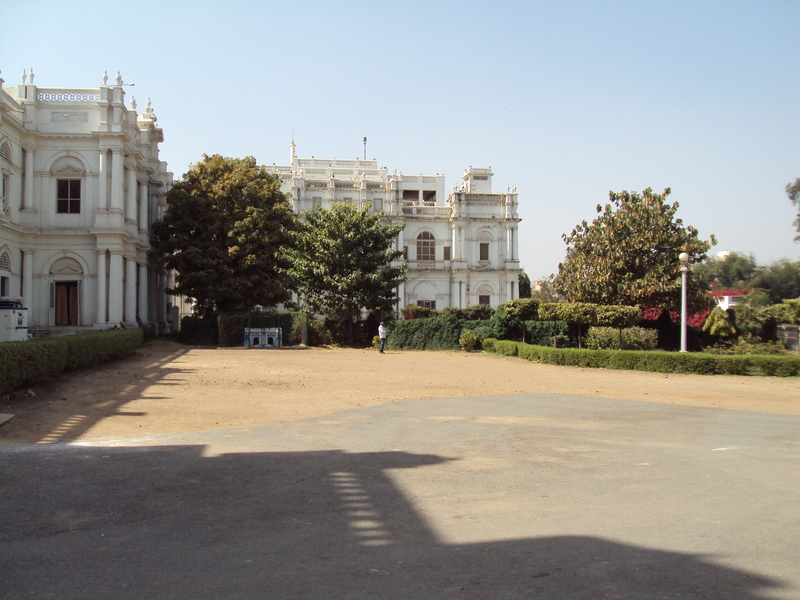 Rai Praveen Mahal was built for Rai Praveen , the beautiful paramour of Raja Indramani [ 1672 – 1676 ] . She was a poetess , musician and dancer of her time . It was time to leave Orchha . I left the small town with heavy heart . 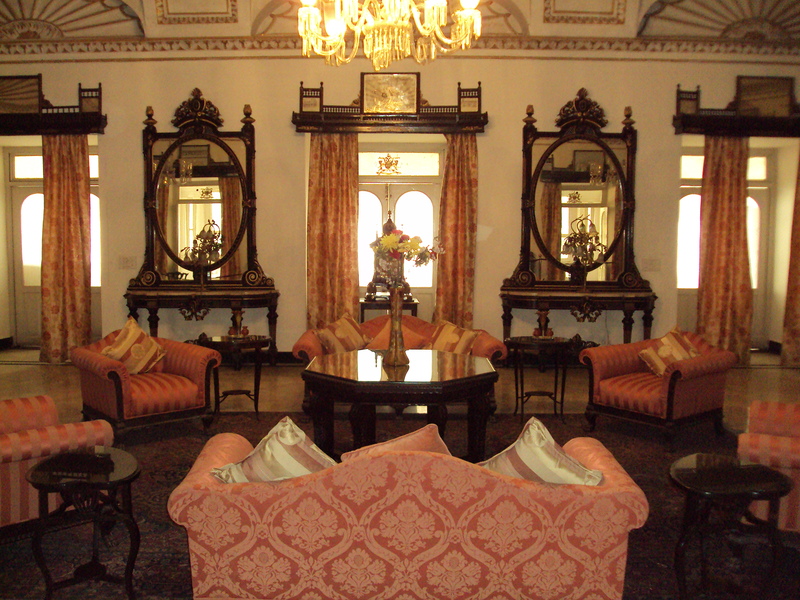 Pristine beauty of Orchha and its grand , beautiful palaces are source of joy for ever . I visited it years ago . I could again visit it after many years . I don’t know whether I would be able to visit it again or not . heart longs for one more visit . Fate says nothing and gives only an enigmatic smile . 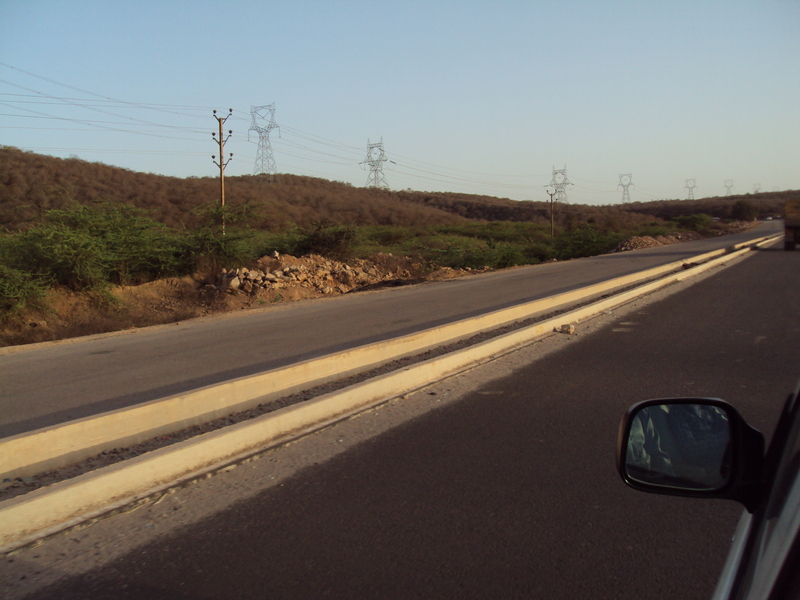 MUMBAI – MAHARASHTRA – INDIA APRIL 27 , 2012 09.30 P.M.
Gwalior travelogue is really getting longer . This is the third one . 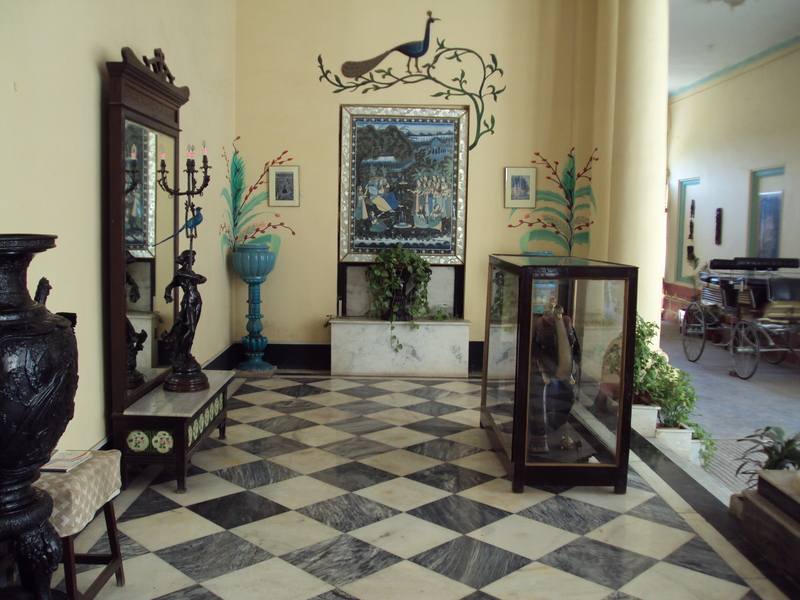 But I clicked lots of photos and apart from that , Jai Vilas Palace and Gwalior fort are really historic and have many anecdotes worth telling , so I can not shorten the travelogue even if I wish to . If I am remembering correctly , I visited Gwalior for the first time in 1977 / 78 . 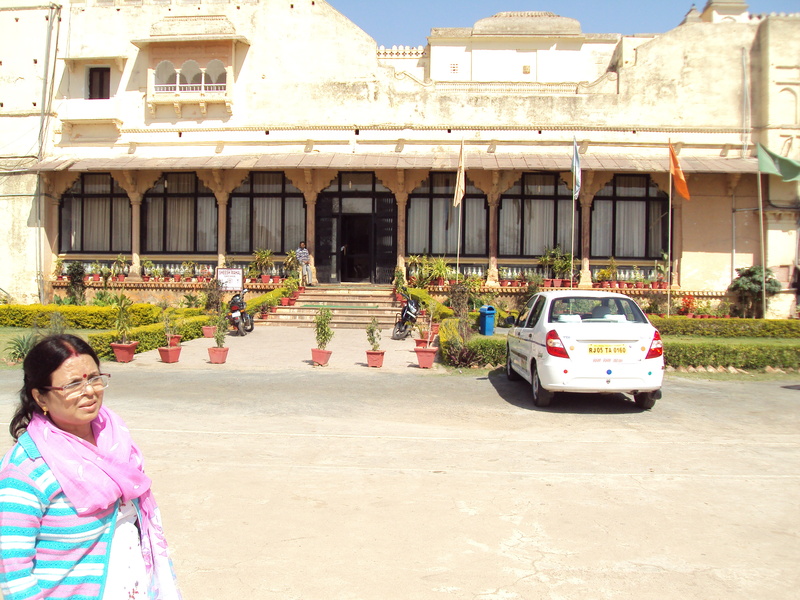 I went to visit Jai Vilas Palace and Gwalior fort for the first time on that visit . Since then I have visited these two places 3 / 4 times . But this time I went with renewed vigour and with different understanding and outlook . 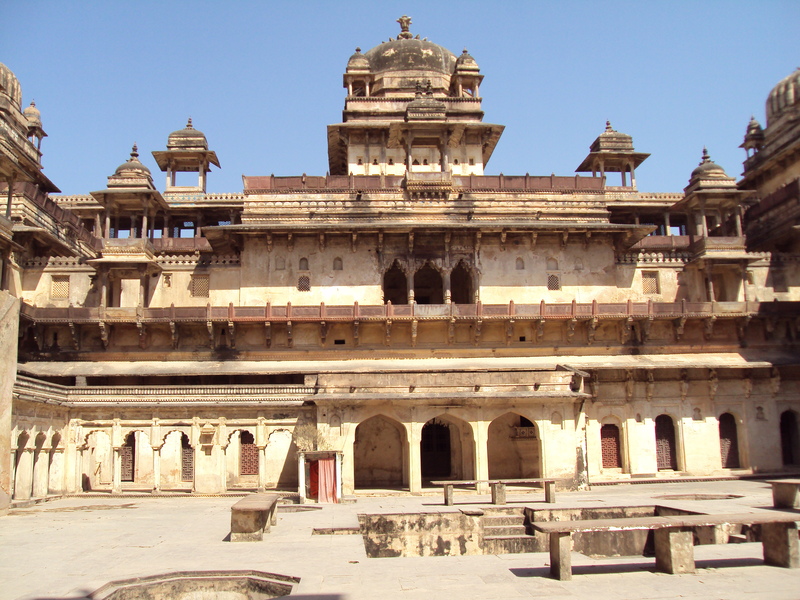 I always knew that Gwalior is associated with legendary singer Tansen and Maharani Lakshmi Bai of Jhansi also . But I was unable to visit their memorials on my previous visits . This time I made it a point to include these memorials in my itinerary . 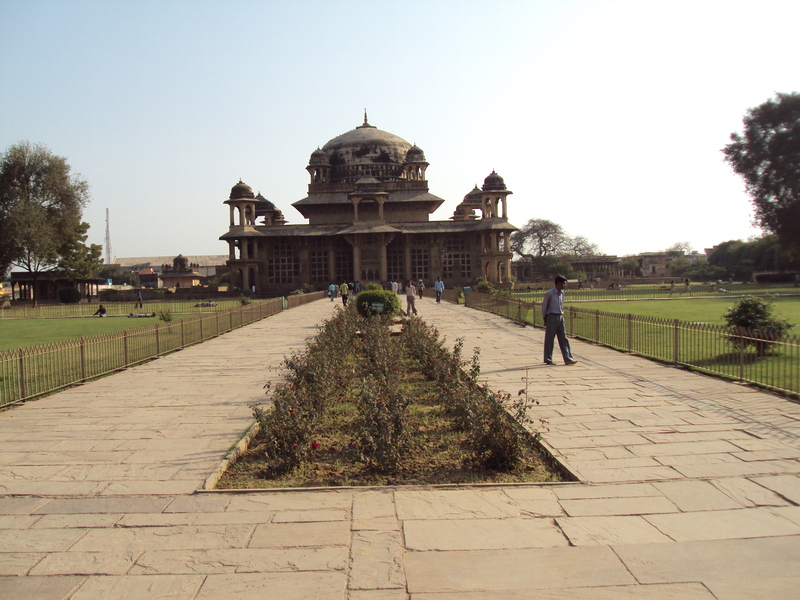 So after finishing visit of Gwalior fort , I went to see Tansen Mausoleum . I was excited as it was my first visit . 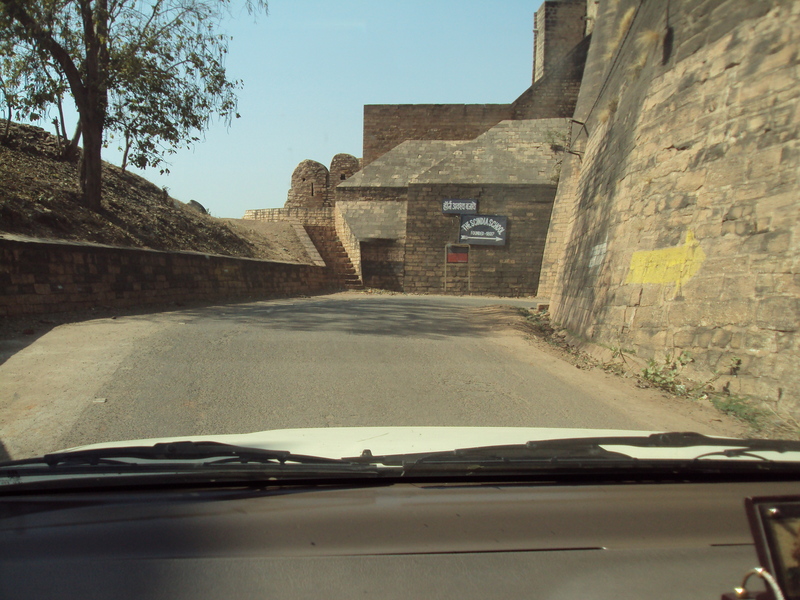 Passing through the lanes and by – lanes of old Gwalior , my car stopped in front of an unimpressive iron gate . But as soon as I entered in the compound I was shocked to see a grand mausoleum . 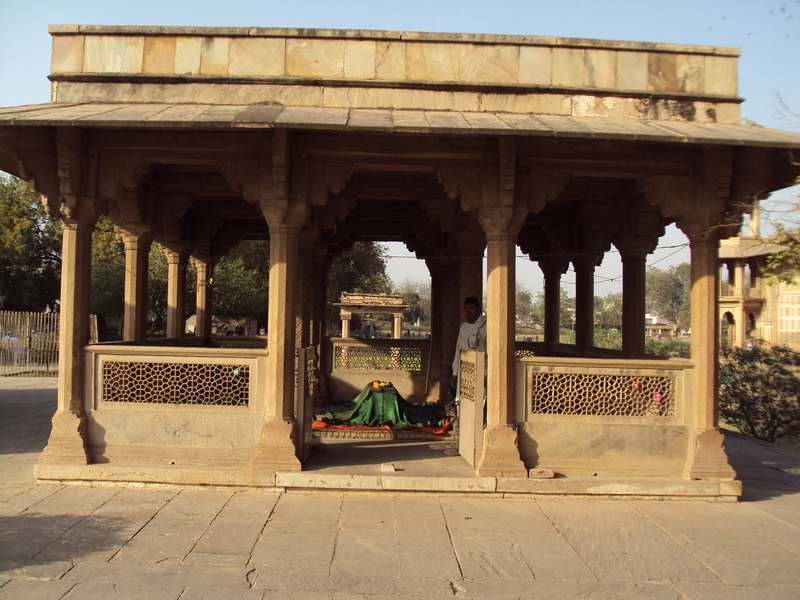 This grand mausoleum belongs to Muhammad Ghaus , a venerable Sufi saint of those times and the mentor of Tansen . Tansen [ born 1493 or 1506 – died 1586 or 1589 ] was born as Ramtanu in a Hindu Gaur Brahman family . His musical talent came to prominence at the age of 5 . Initially he learnt music from Swami Haridas of Vrindavan . 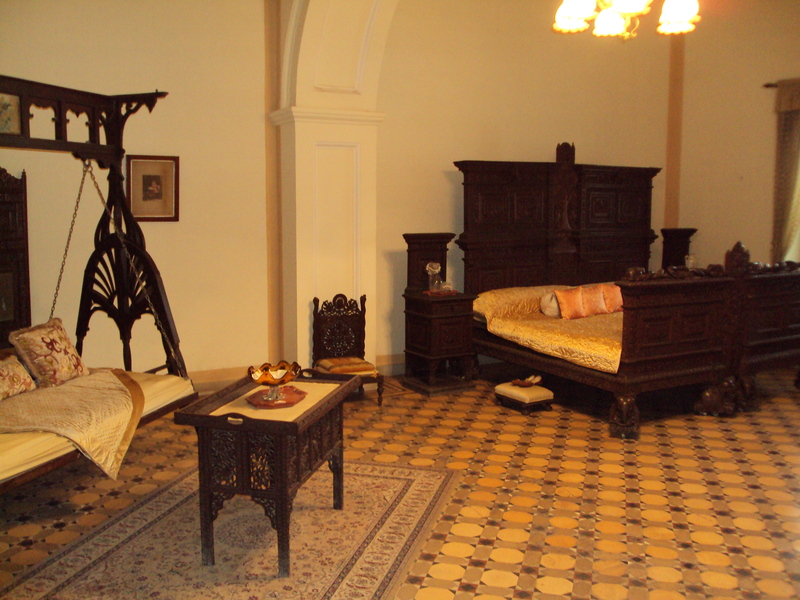 He rose to national prominence in the court of legendary Man Singh Tomar , the 10th Tomar King of Gwalior . 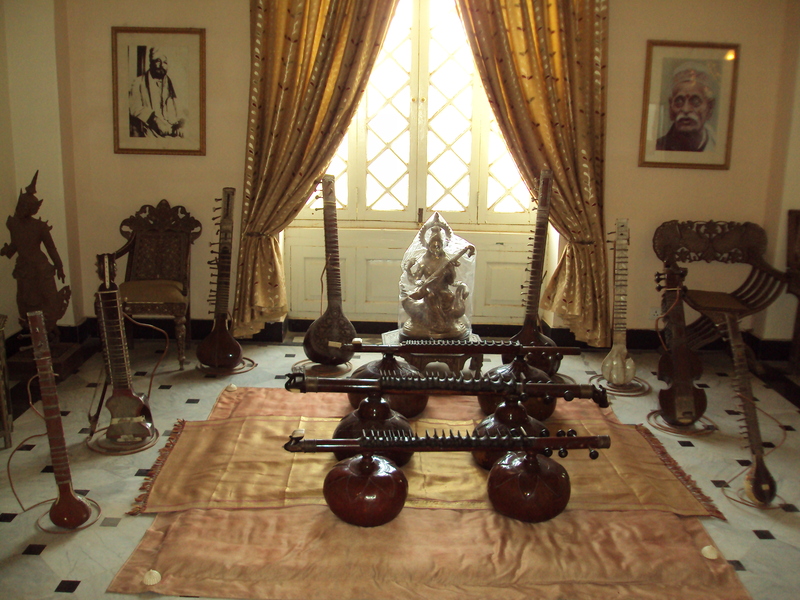 In Man Singh Tomar’s court he became exponent of Dhrupad and made this form of Hindustani Classical music world-famous . Man Singh Tomar gave him title of ” Tansen ” . He , later on , joined the court of Ramchandra Baghela of Reva . 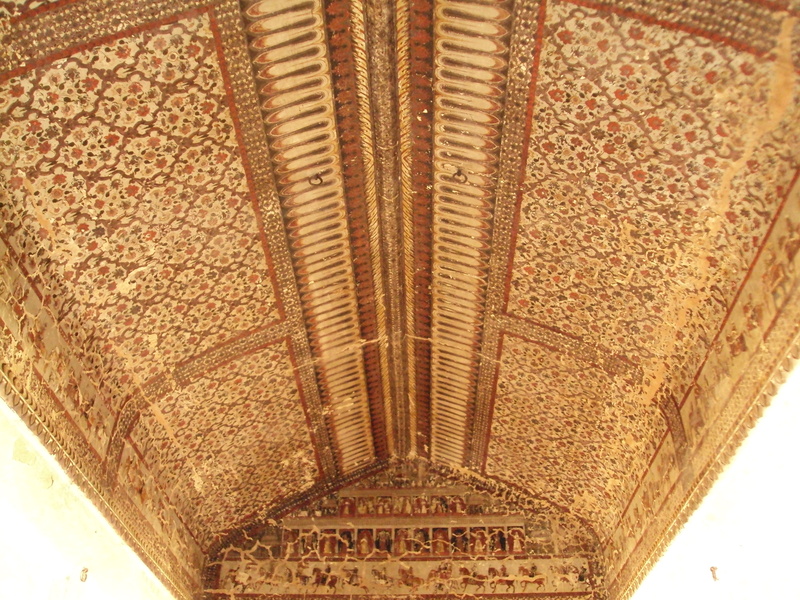 Mughal emperor Akbar heard about him and invited him to his court . 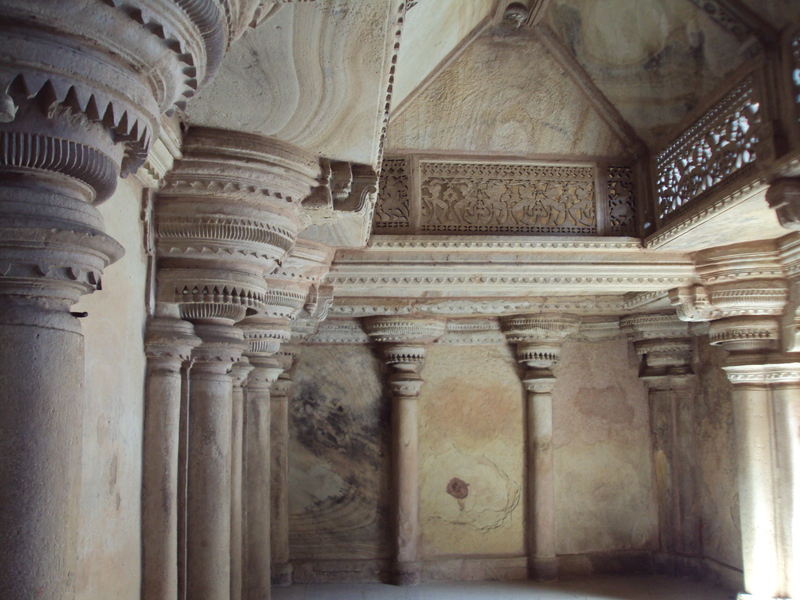 Tansen went there , joined his court and thus rose to prominence and immortality . Later on he embraced Islam and married Akbar’s daughter Meherunnissa . 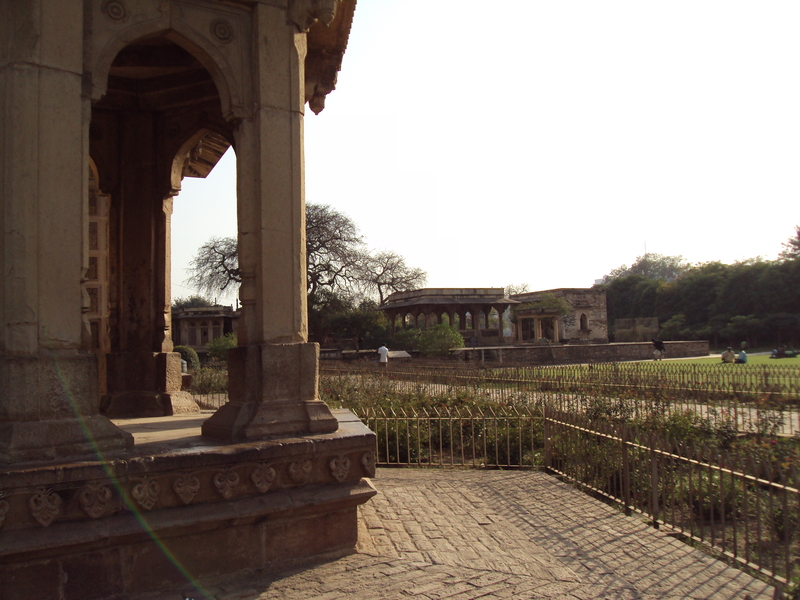 From Tansen’s mausoleum , I drove to Maharani Lakshmi Bai memorial at Kotah Ki Serai near Phool Bagh . This world-famous queen of Jhansi [ November 19 , 1835 – June 17 , 1858 ] valiantly fought the British during 1st War of Independence of 1857 . 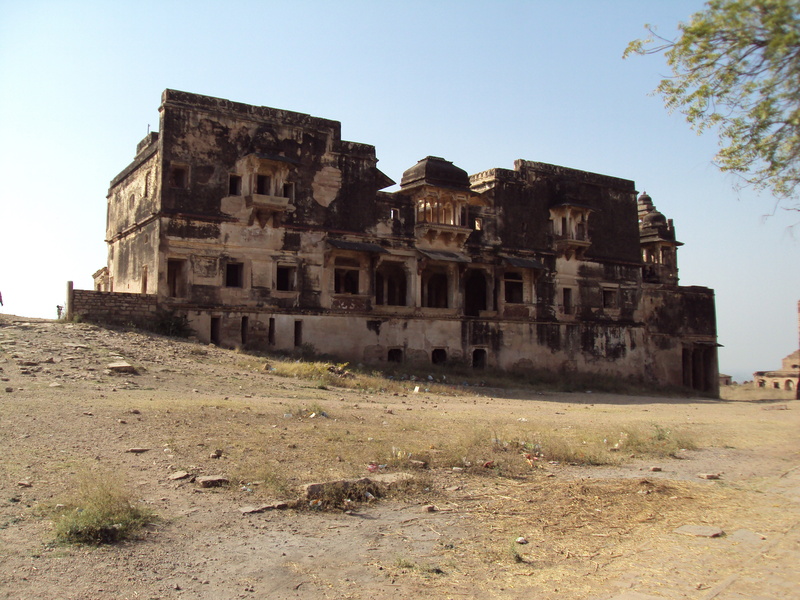 She lost Jhansi fort due to treachery of her own people , came to Gwalior to seek help of Scindias but was not able to get their help . 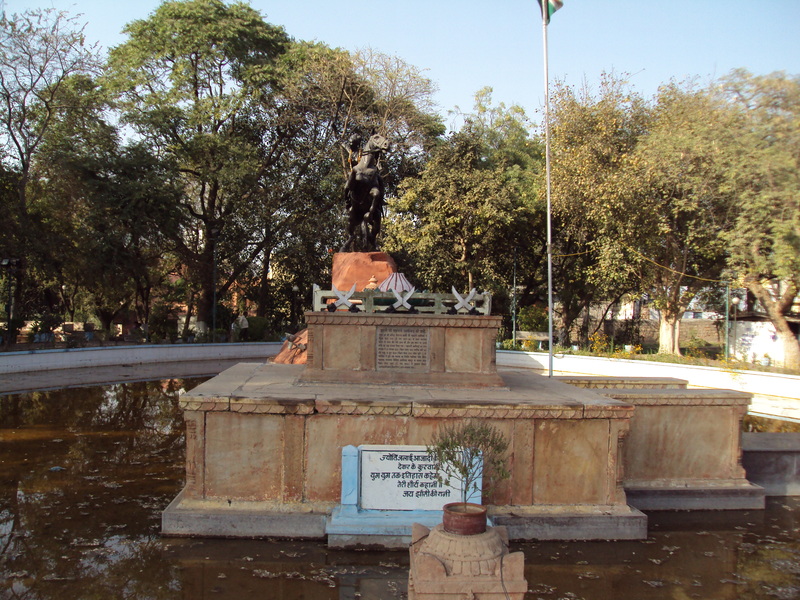 Scindia’s unflinching loyalty to their British masters and their non – cooperation to the freedom struggle drove Maharani Lakshmi Bai away from Gwalior and while crossing a nullah , which is still there , she was martyred by British army . She was only 23 years old at the time of her death . 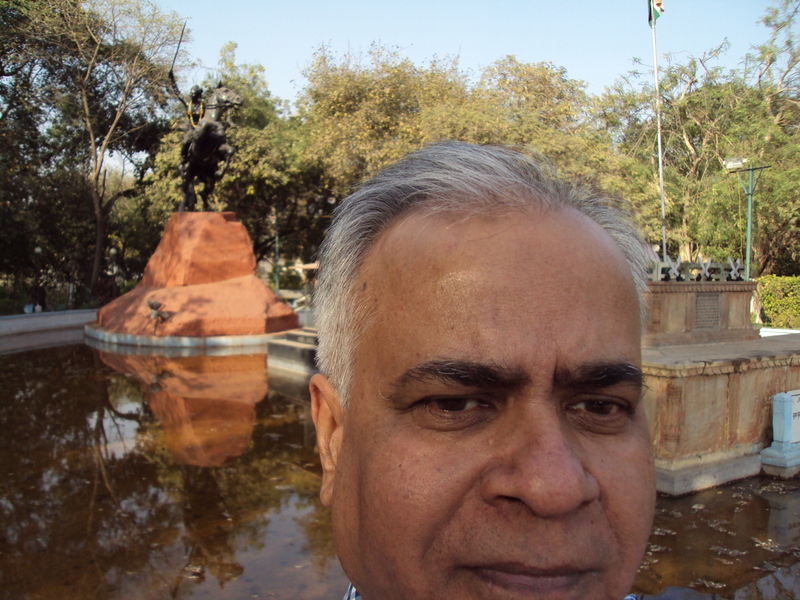 After paying my obeisance at the memorial of Maharani Lakshmi Bai , I was engulfed with emotions . It is sad to get martyred at the tender age of 23 . It is sad to not have a family life , which she definitely deserved . She died for the country at such a tender age but her memorial is not well – kept at all . Few months back I visited Rajiv Gandhi’s memorial at Sriperumbudur . 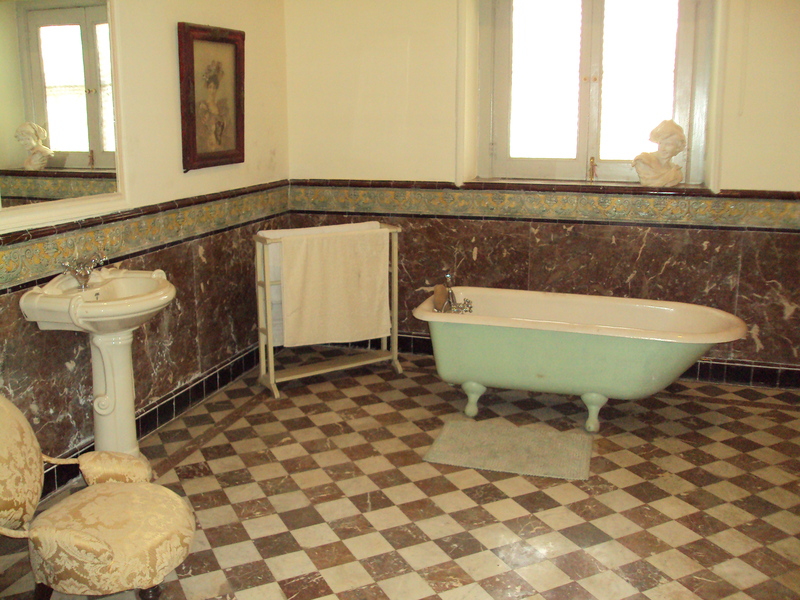 It was so well maintained and beautifully kept , that I was amazed . I am not saying that Rajiv Gandhi’s memorial should not be maintained properly . 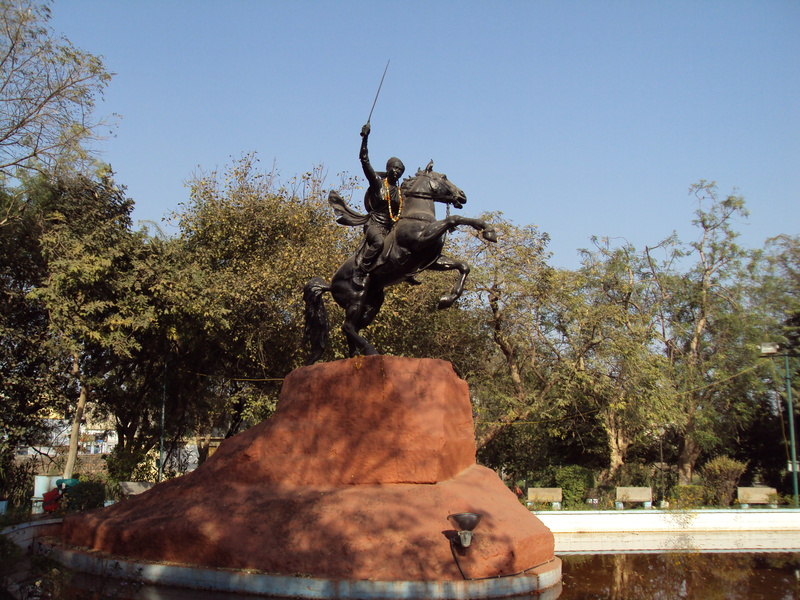 But the memorial of Maharani Lakshmi Bai also deserves same treatment , if not better . 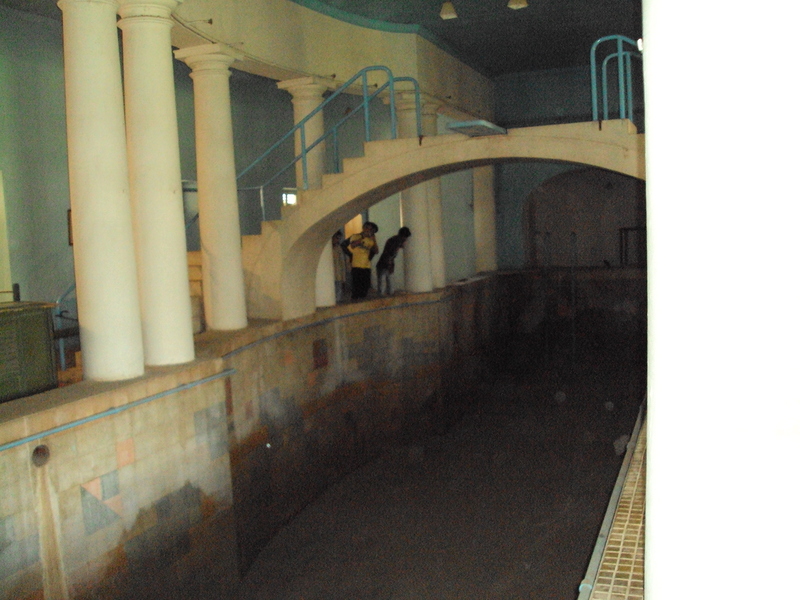 I am saddened by the neglect . Evening started descending on the Gwalior city . It was time to leave . Same never-ending feeling engulfed me again and completely. I remembered Agyeya’s famous lines and left Gwalior . 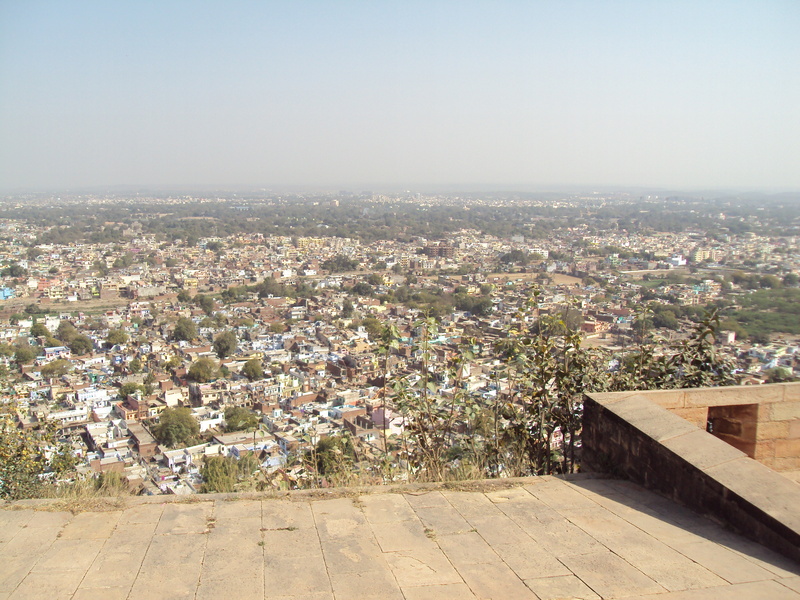 Hope I would visit Gwalior again and really soon . 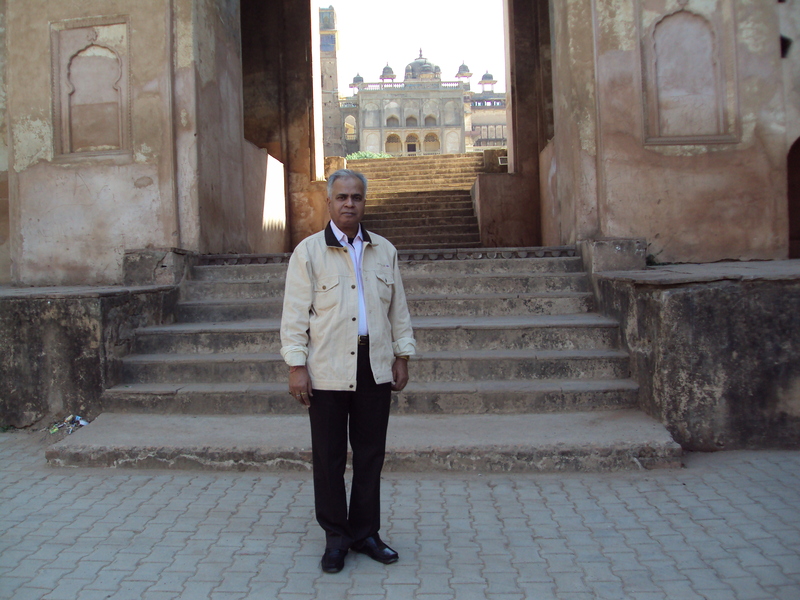 MUMBAI – MAHARASHTRA – INDIA APRIL 26 , 2012 03.45 P.M.
After completing my visit of Jai Vilas Palace , I headed for Gwalior Fort . 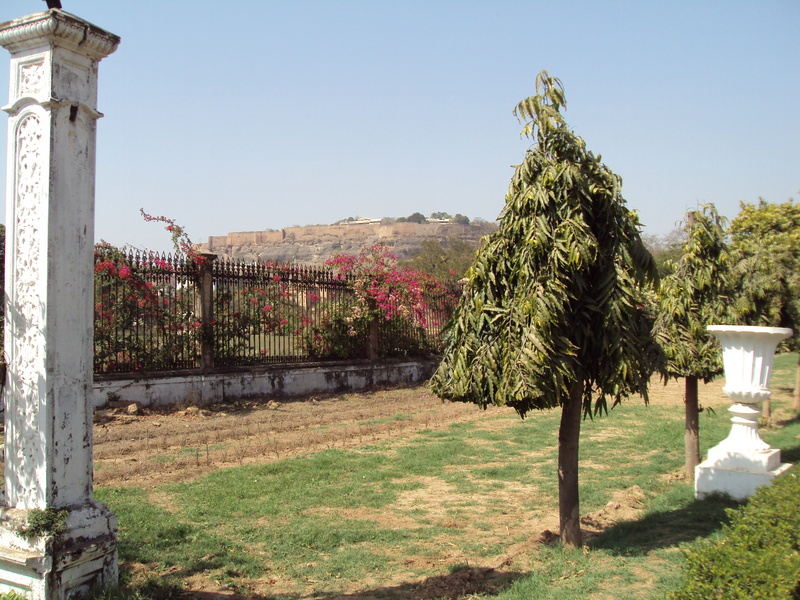 This fort can be seen from the palace ground itself . 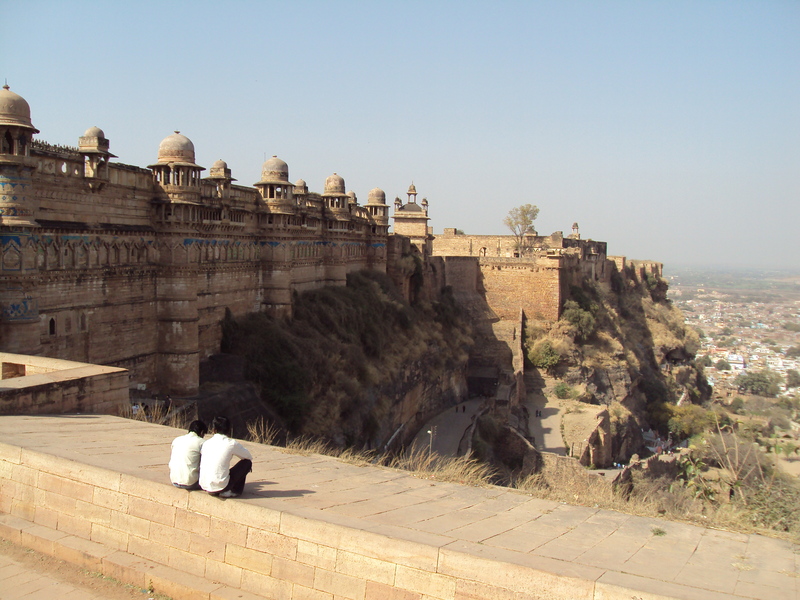 One of the biggest forts of India , Gwalior fort was described by Mughal Emperor Babur as ” The pearl in the necklace of the forts of Hind . ” It is spread over an area of 3 square kilometres . Its height is 35 feet . 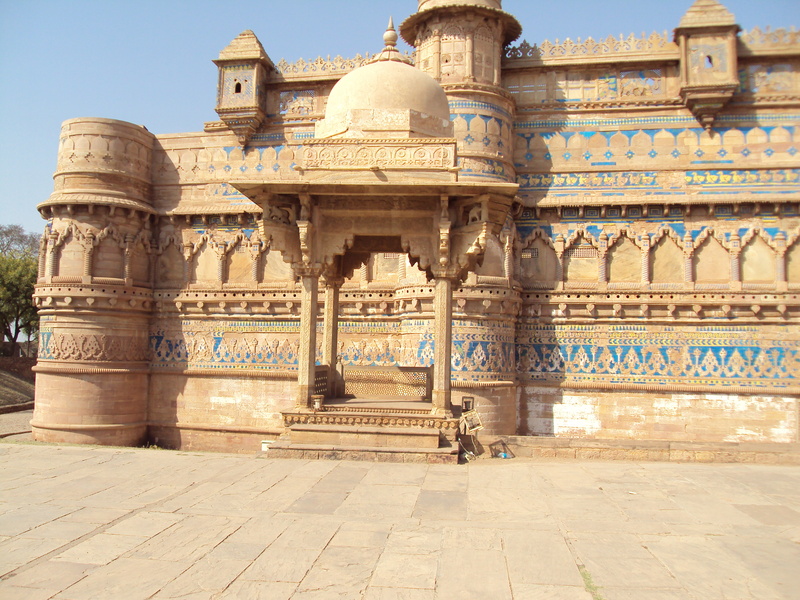 Gwalior is an ancient city . 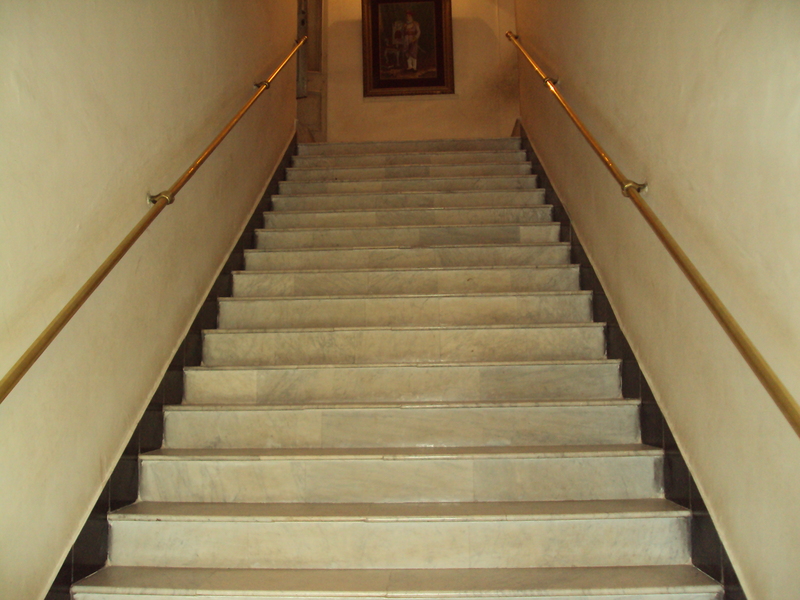 It is said to be stablished by Maharaja Suraj Sen in the 6th century . 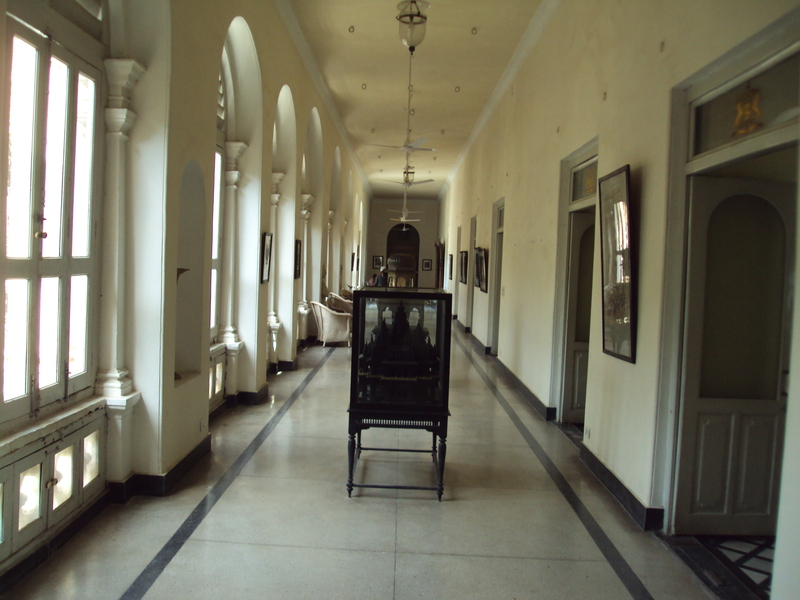 As per the tradition and folklore , Maharaja Suraj Sen of Kachhwaha clan was a leper . 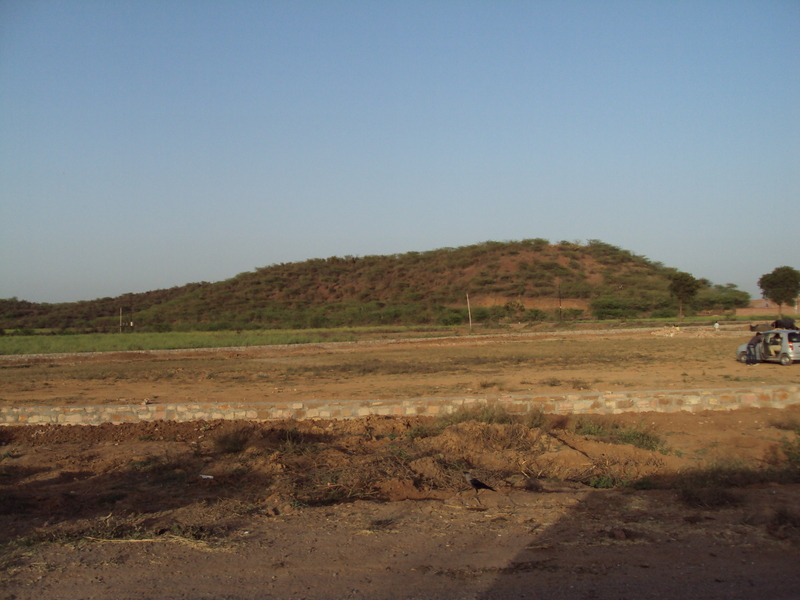 Once , while hunting , he got thirsty and saw this small hillock , known as Gopachal or Gopagiri . He climbed the hillock in search of water and saw a hermit , sitting in a hut and meditating . His name was Galava a.k.a. Gwalia . Sage Galava gave him water to drink . After drinking water , Suraj Sen got cured . 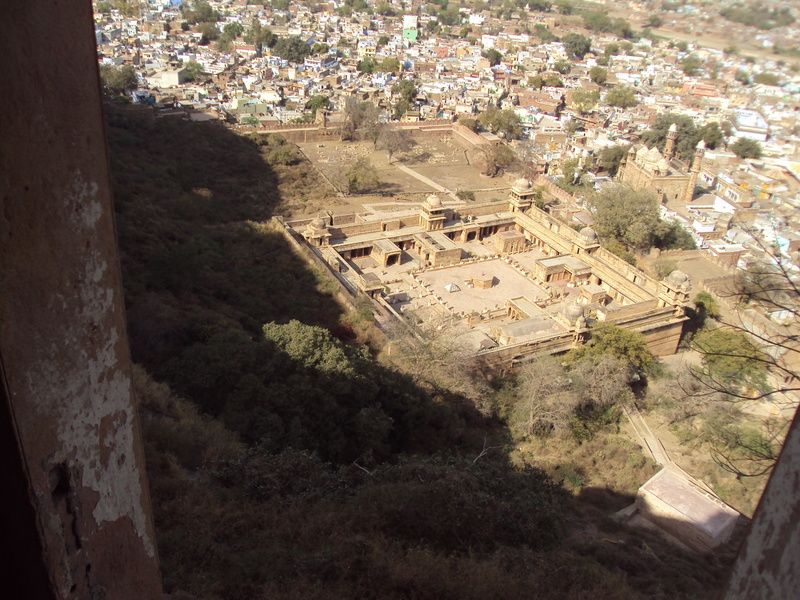 Indebted , Suraj Sen constructed this fort and named it Gwalior after sage Galava . Sage Galava renamed Suraj Sen as Suhan Pal and ordained him to keep Pal as his last name . He also said that as long as his progeny and descendents will keep Pal as their last name they will be rulers of this kingdom . 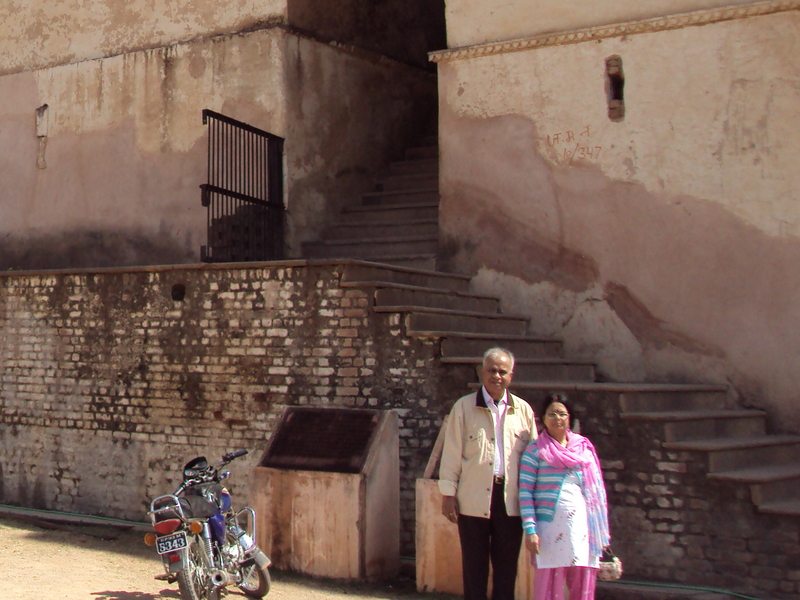 Suhan Pal’s 83 generations kept Pal as their last name and they ruled Gwalior . 84th ruler Tej Karna Sen removed Pal and lost the kingdom . 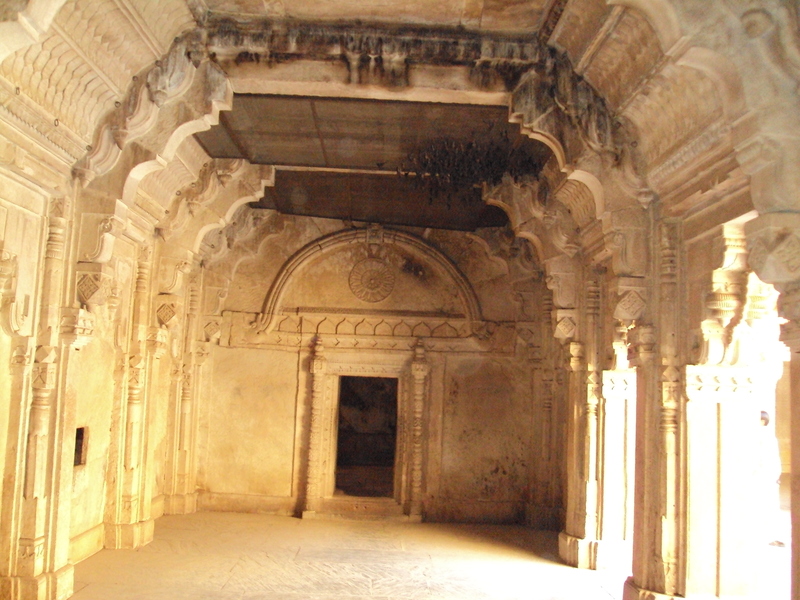 Kachhwaha rulers ruled Gwalior for 989 years . 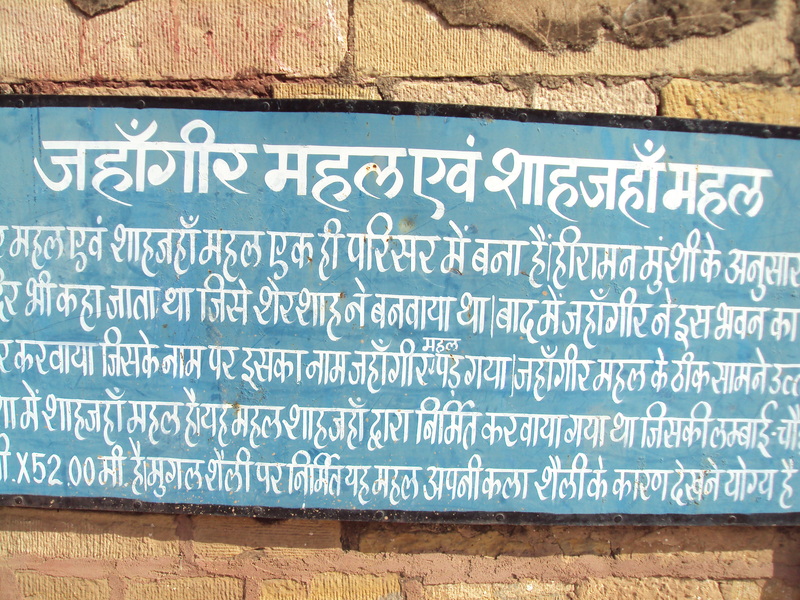 Then Pratihars became rulers of Gwalior . 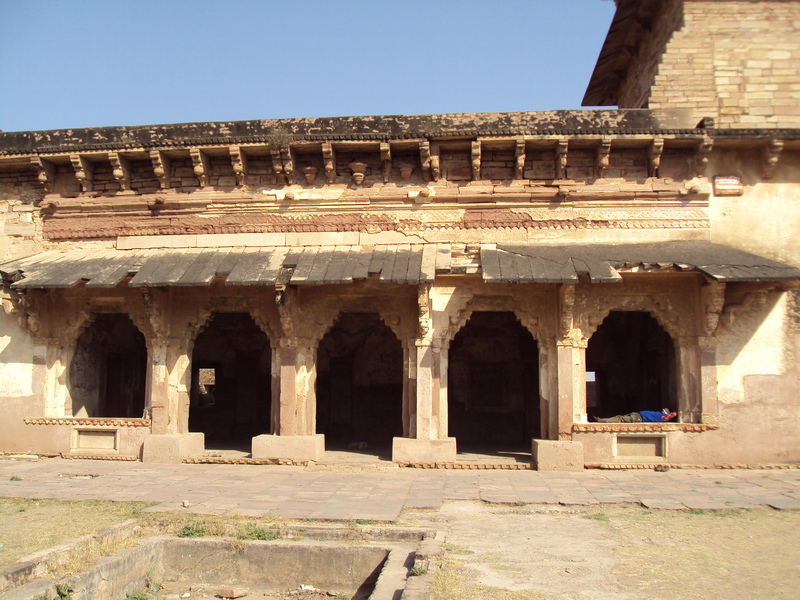 Pratihar kings became rulers of Gwalior after Kachhwaha rulers . 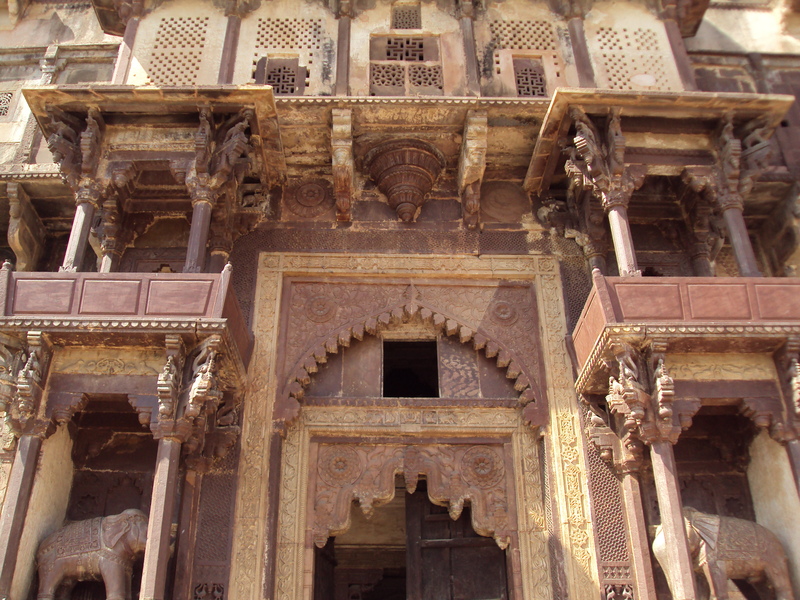 6 generations of Pratihars rules Gwalior and then Sultans of Delhi became the rules for a brief period . 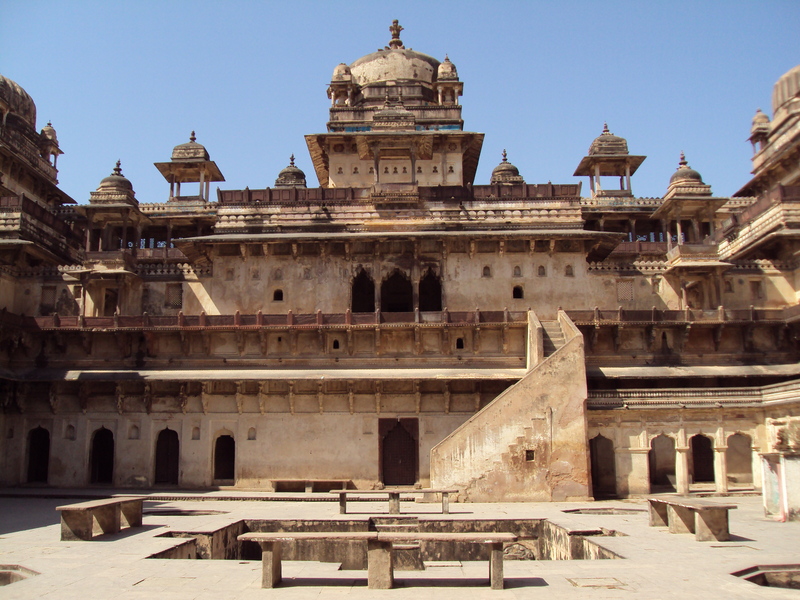 Gwalior fort was later associated with the Tomar rulers , specially Raja Man Singh Tomar . 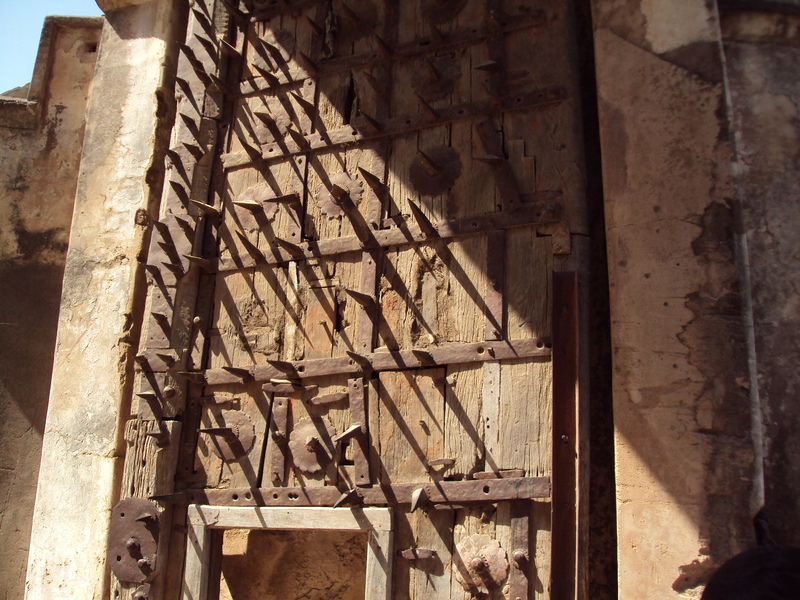 This happened in the 15th century . 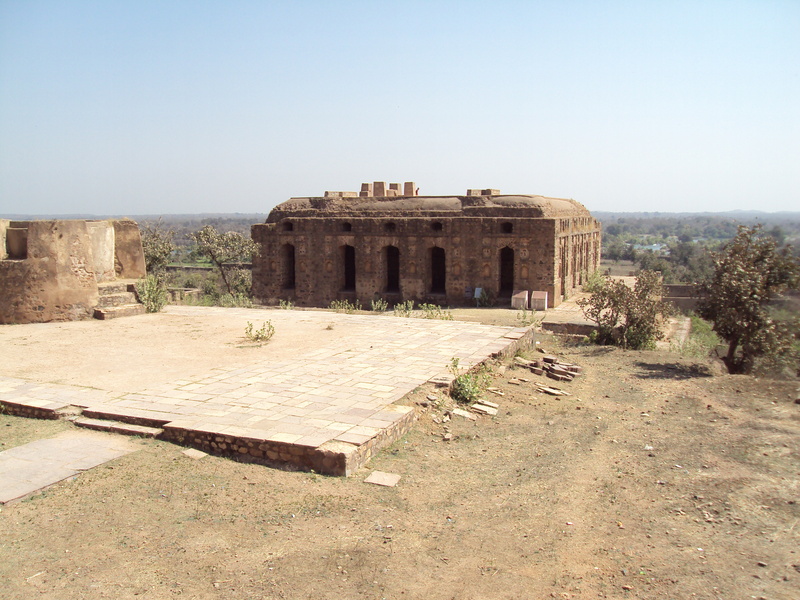 Raja Man Singh Tomar was the 10th Tomar king and was the most famous . 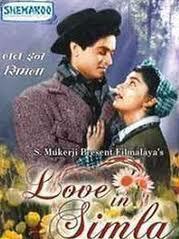 His eternal love story with Gujar princess Mriganayani is still famous . Two of the most magnificent structures in the fort known as Man Mandir and Gujari Mahal , tell the story of his greatness . He was a great musician and is known as the father of the Dhrupad Gharana . 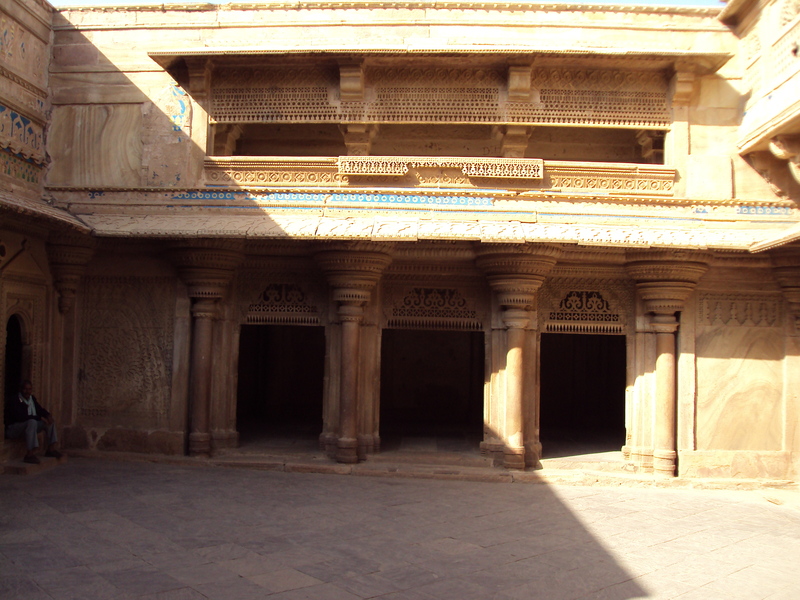 Before moving to Akbar”s court , Tansen was the royal musician of his court . 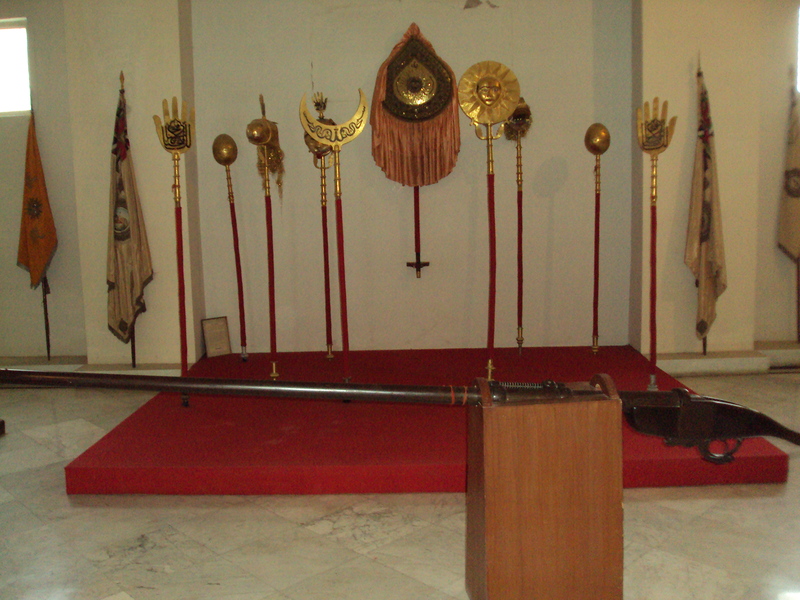 Last Tomar king , the 12th king Salivahan Tomar fought at Haldighati for Maharana Pratap . Then the Mughals became the rulers . 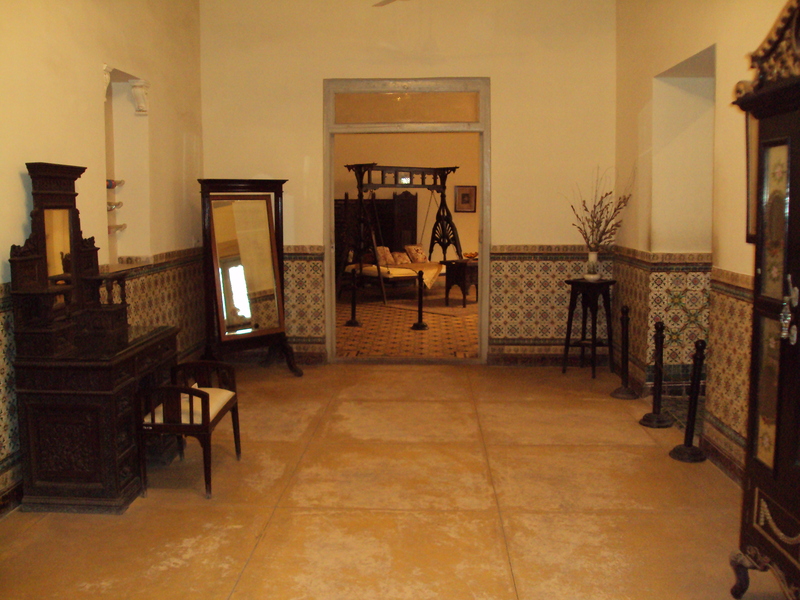 During Mughal rule Gwalior fort was used as a prison for special and important prisoners . 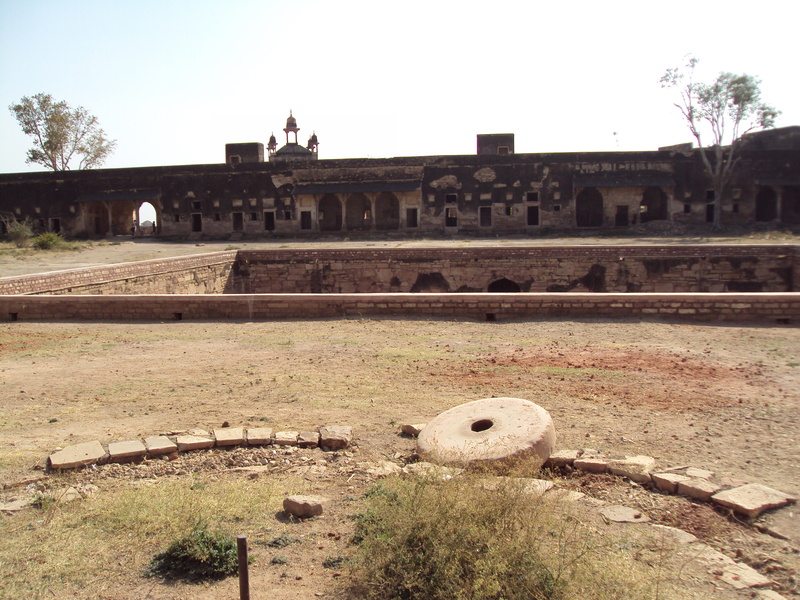 Akbar imprisoned his first cousin Kamran in this fort and subsequently got him killed there . Aurangzeb also imprisoned and later on killed his brother Murad and his brother Dara Shikoh’s two sons . 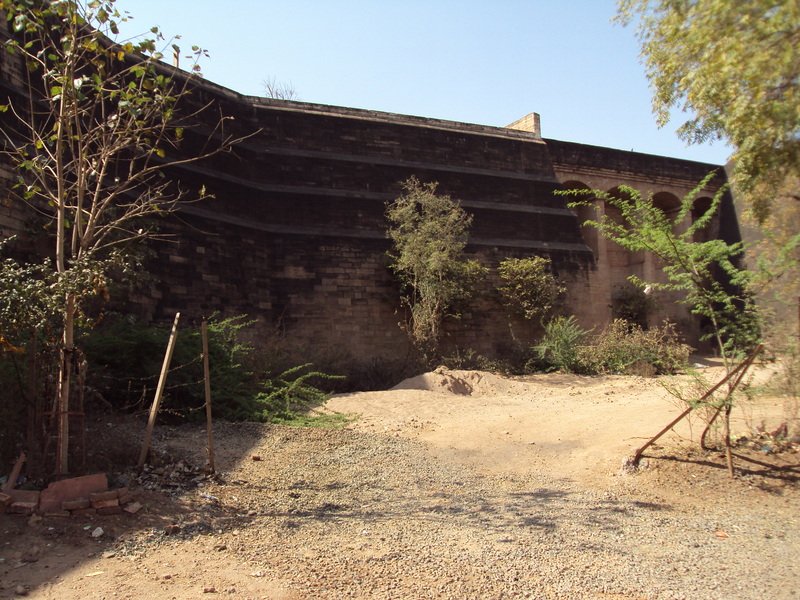 6th Sikh Guru Hargobind Singh Ji was also imprisoned here . 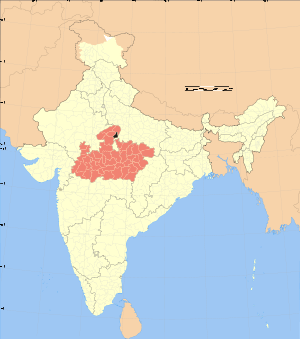 When Mughal empire declined , Jats became the rulers for a brief period and finally Gwalior came under Maratha empire . 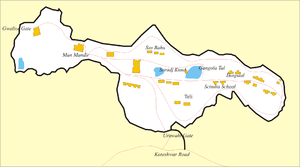 Scindias conquered Gwalior and in 1810 Daulat Rao Scindia made Gwalior his army cantonment and thus Gwalior came to be associated with Scindias and Gwalior fort finally came under Scindia’s control . 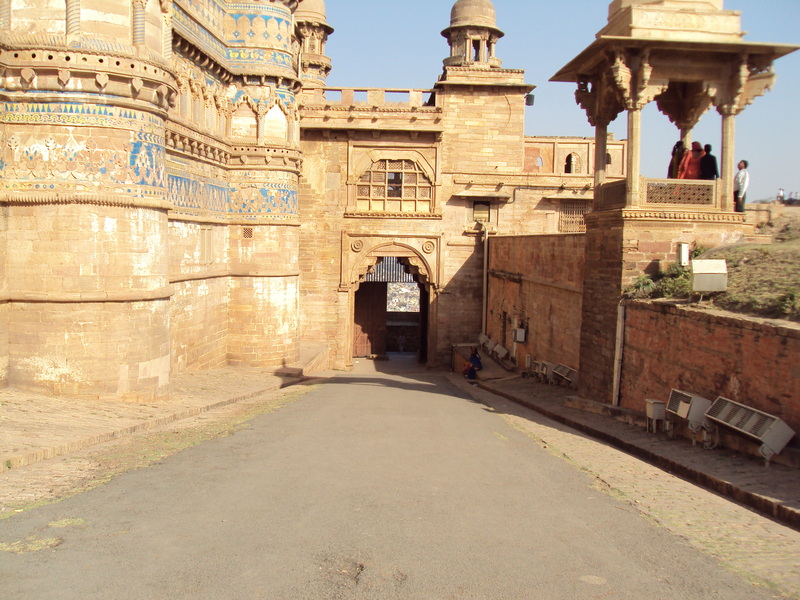 Gwalior fort has many famous , magnificent and important structures within its precincts . Each ruler added some structure or other . 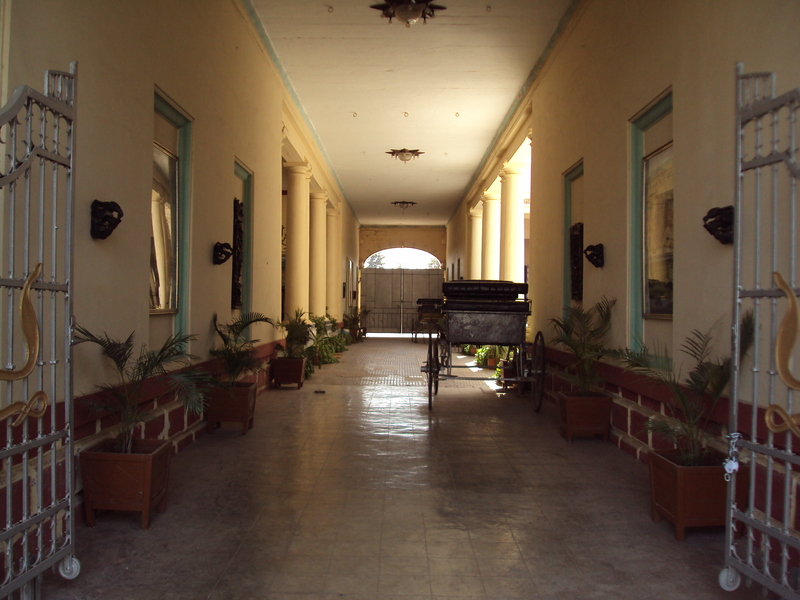 There is no uniformity , but that , in a way , is the beauty of the fort also . I entered the fort from the southern gate because that is the only gate which has a road . I visited all the structures one by one . 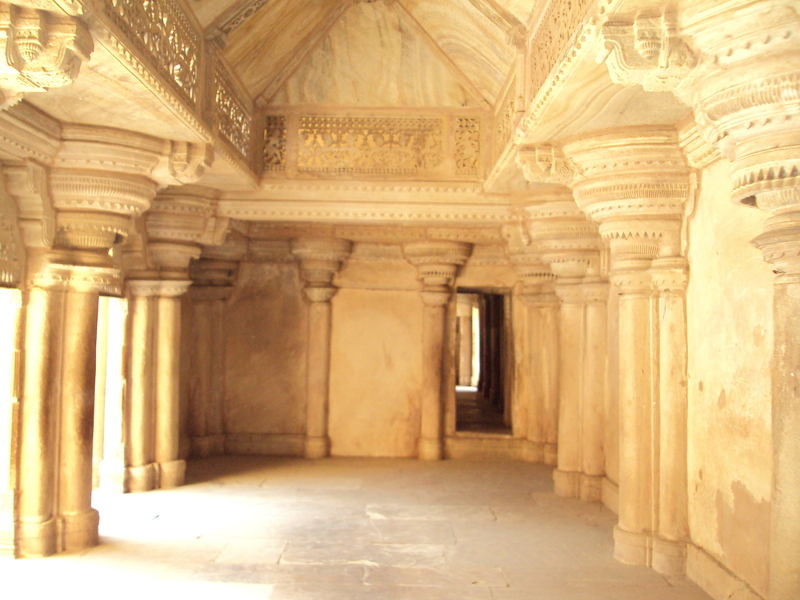 From southern gate when you move to the top , you can see ” intricately carved rock-cut temples of 21 Jain Tirthankars . “ One statue of Parshvanath , the 23rd Tirthankar , is 40 feet in height . 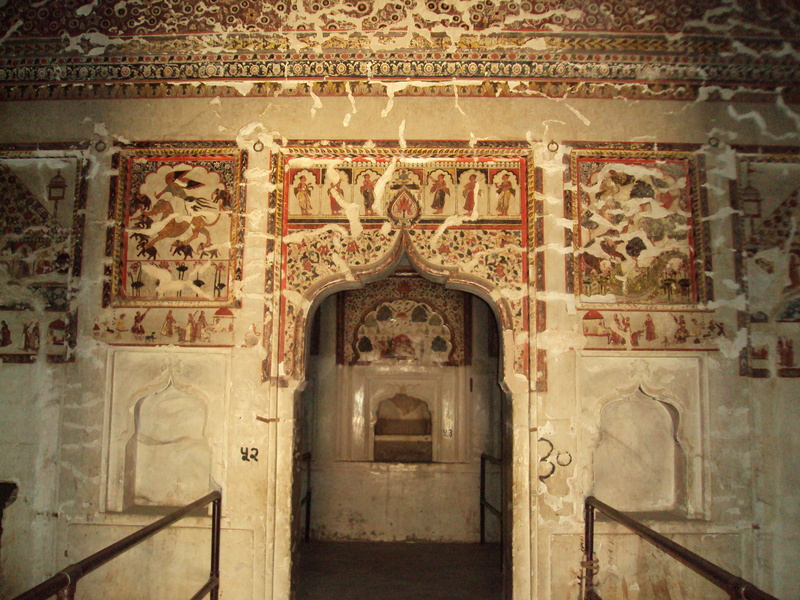 When you reach the top of the fort , the first main structure of importance is Gurudwara Data Bandi Chhor , built-in the memory of 6th Sikh Guru Shri Hargobind Singh Ji . 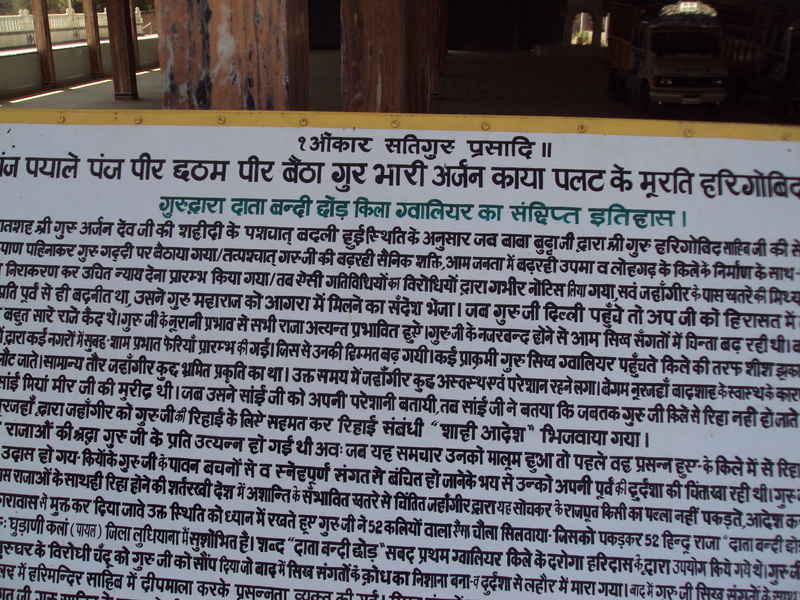 Mughal emperor Jahangir imprisoned Guru Hargobind Ji in Gwalior fort for one year and later released him along with 52 fellow prisoners Hindu kings . 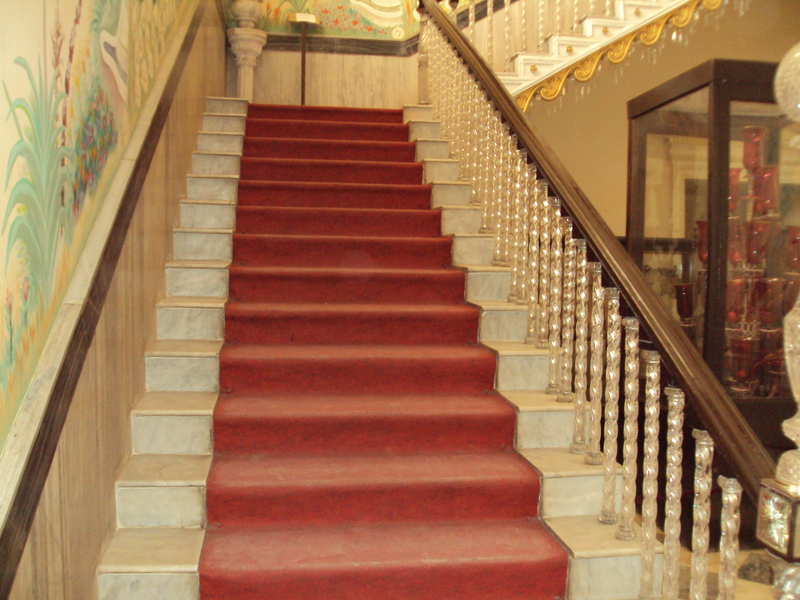 When you proceed to northwards after visiting Gurudwara , the most famous , the most magnificent structure , which comes to draw your attention , is Man Mandir , palace of legendary Man Singh Tomar . Built between 1486 and 1517 , this grand palace still have some traces of colourful tiles , which adorned the outer walls once. 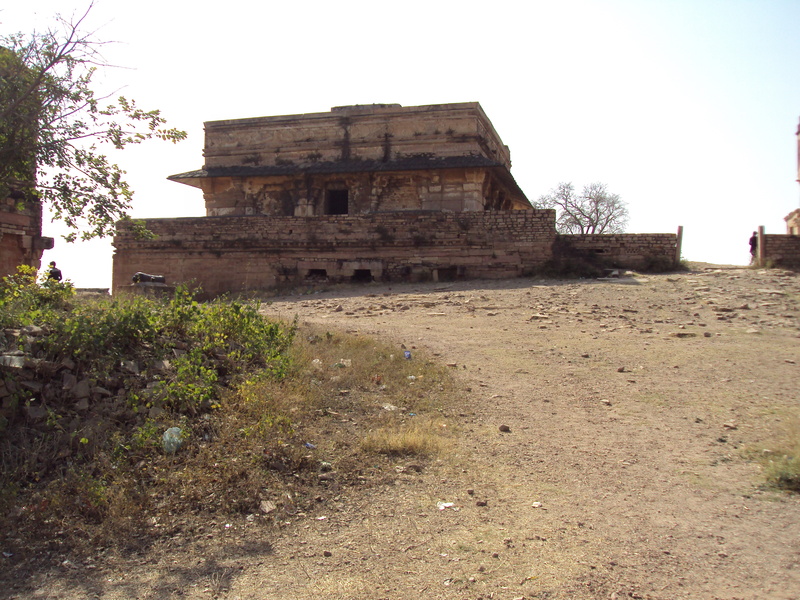 After having a round of Man Mandir , when you come out and proceed further northwards , there are several old dilapidated structures and crumbling palaces , which attract your attention . 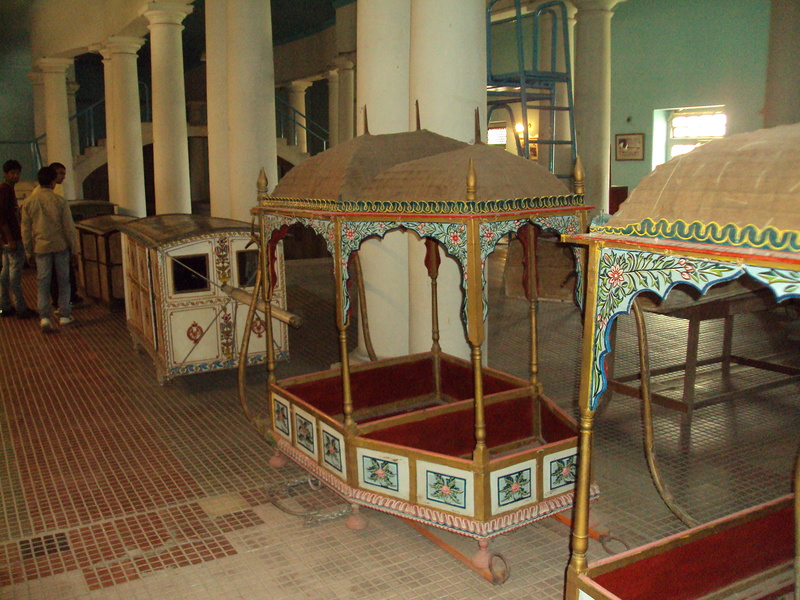 Most famous among them are ; Jahangir Mahal , Shahjahan Mahal , Vikram Mahal , Karan Mahal and of course Gujari Mahal . I completed visit of fort after this . 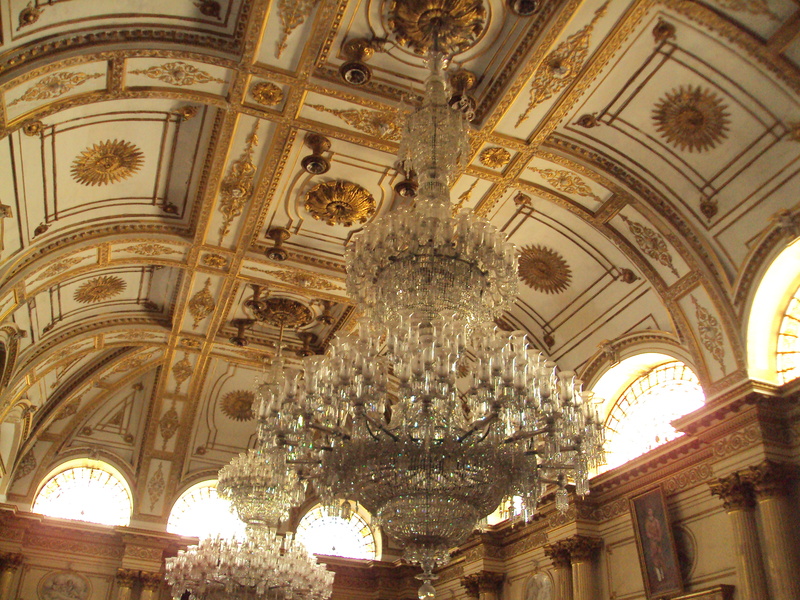 Apart from above mentioned palaces , there are several others , which I missed . 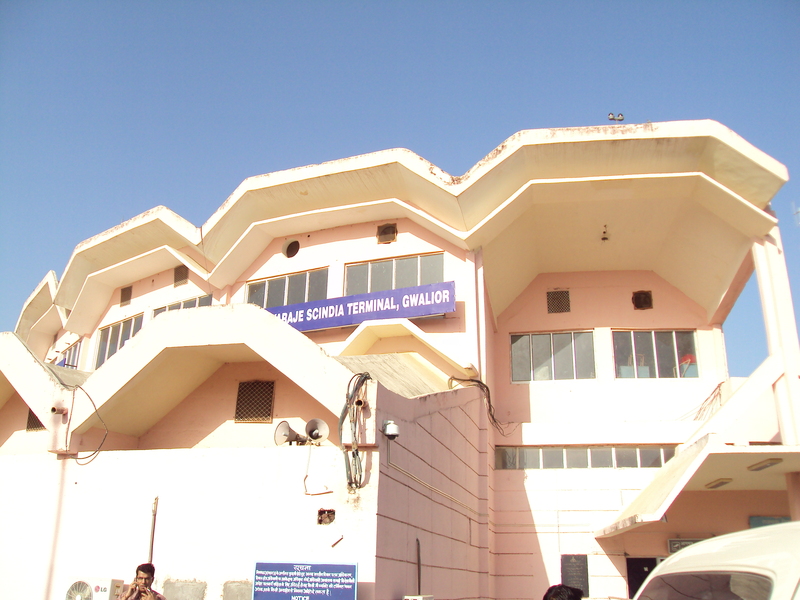 I could not visit Bhool – Bhulaiya , Teli Ka Mandir , Sas – Bahu Ka Mandir and Scindia Public School . 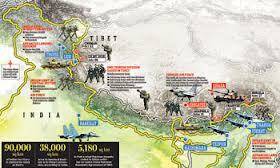 May be I would be able to visit these places next time . But will there be next time ? Would I be able to visit them again ? May be yes …… May be not ……. 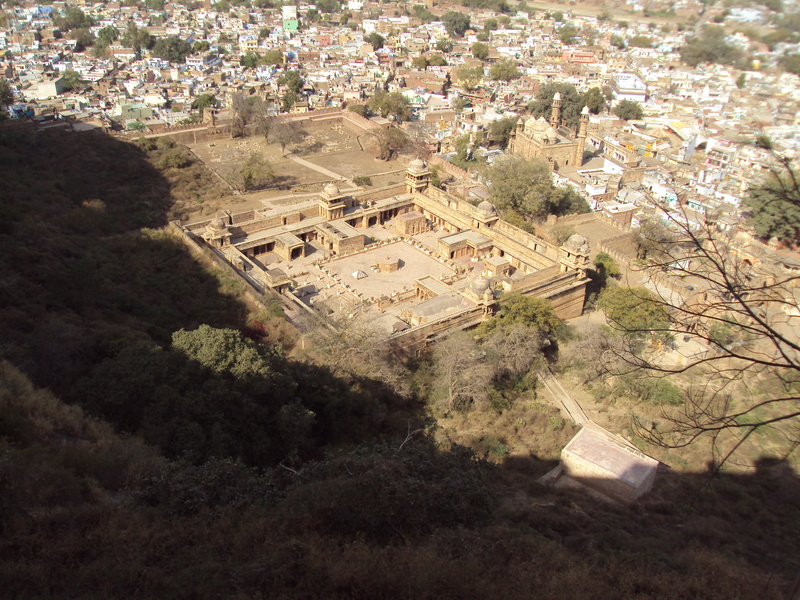 May be , I will be visiting the fort again in near future . May be , I will be visiting it after many years . May be never ……… may be never , ever ………. Agyeya’s line come again to my mind . 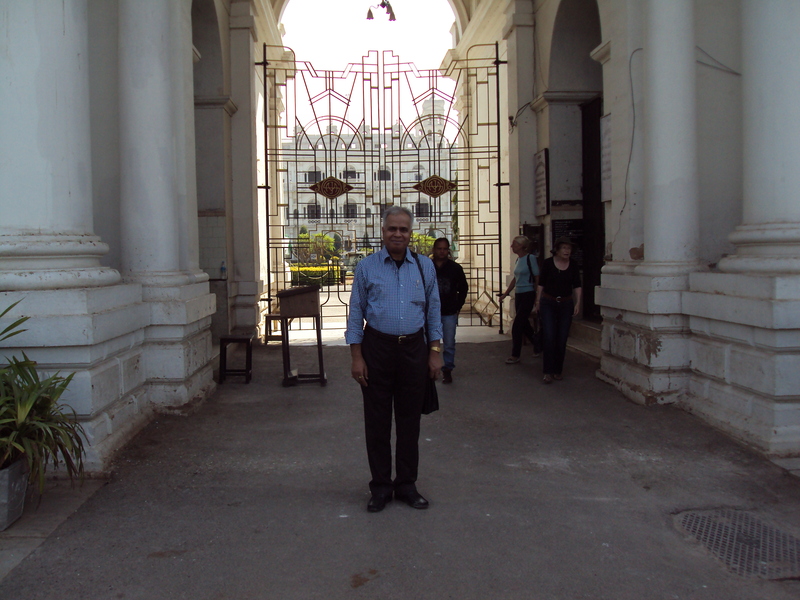 MUMBAI – MAHARASHTRA – INDIA APRIL 24 , 2012 06.30 P.M.
As I have stated in my travel diary of Datia , I landed at Rajmata Vijaya Raje Scindia Airport , Gwalior on February 27 , 2012 evening . 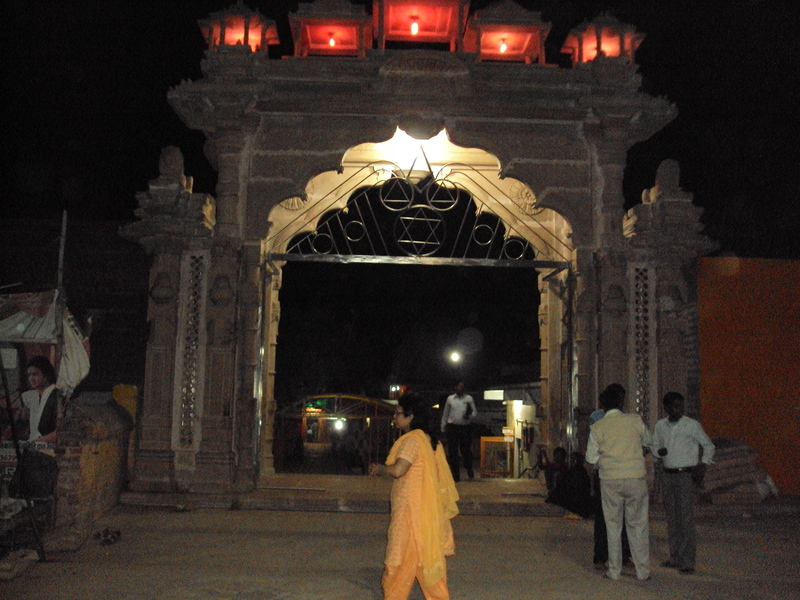 I immediately proceeded to Datia by car and after worshipping at Peetambara Peeth , returned to Dabra in the night. 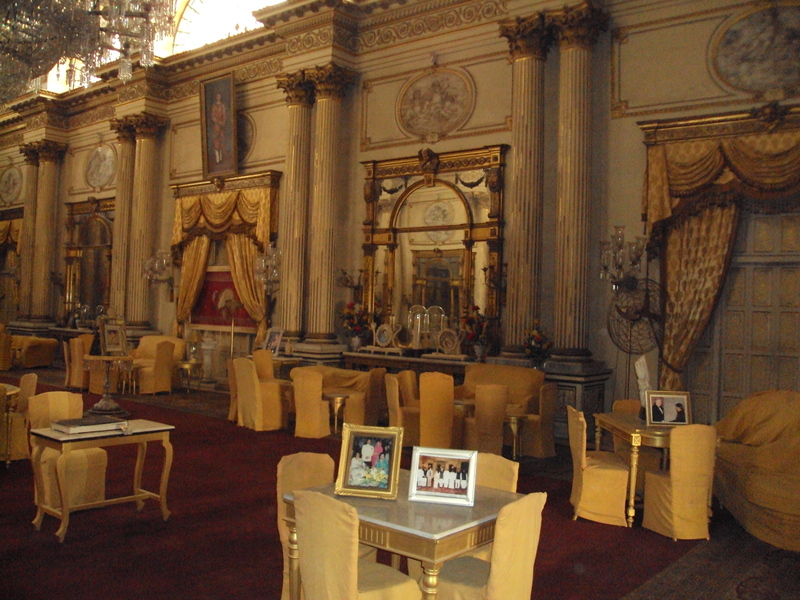 Since the House – Warming party was on March 01 , 2012 , and I had two free days in between , I decided to visit Gwalior on February 28 , 2012 . 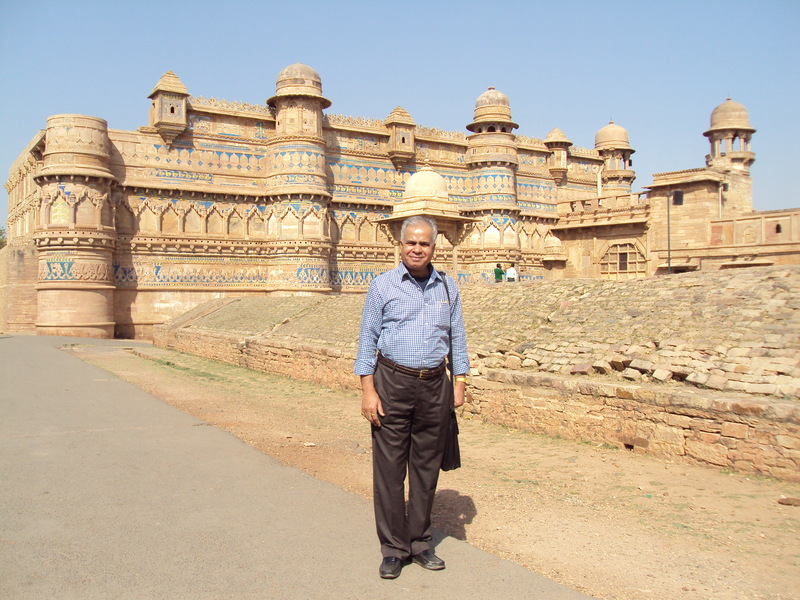 I have been to Gwalior many times before . 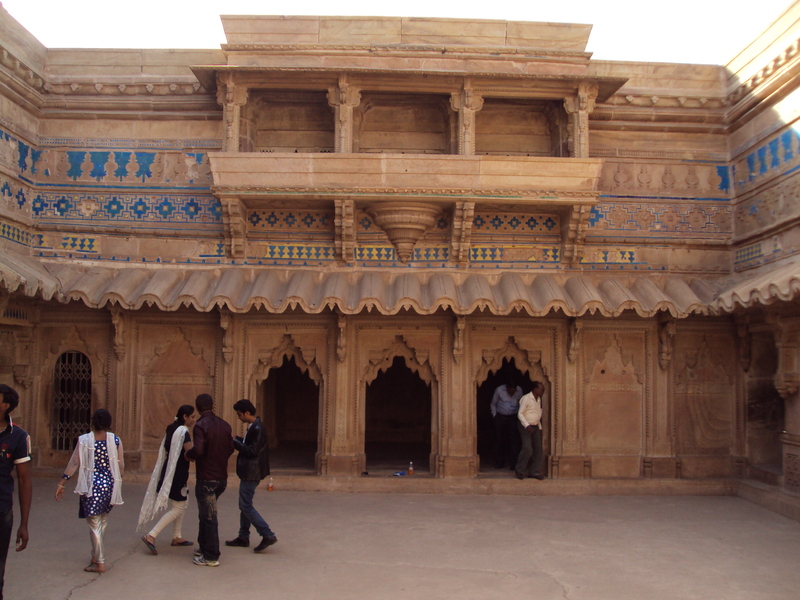 In fact I have lost count of my visits to Gwalior . 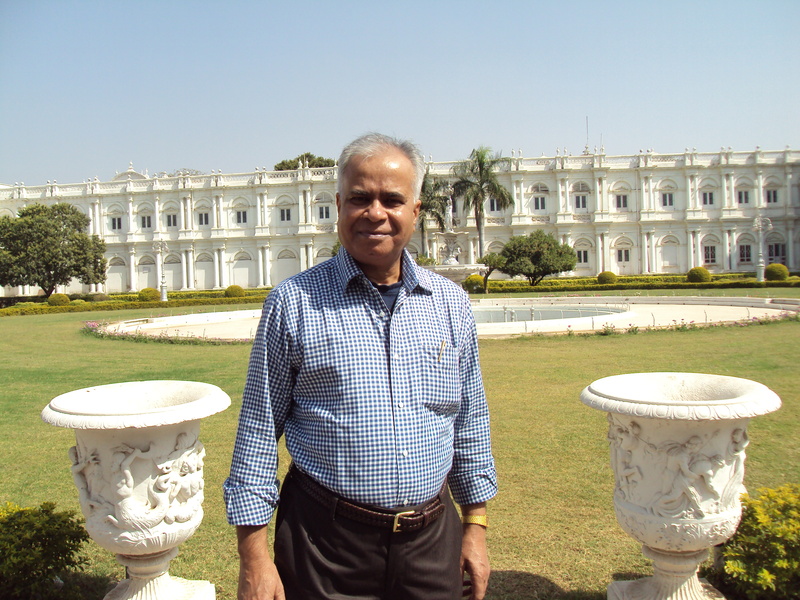 I reached Gwalior by car and went to see Jai Vilas Palace . 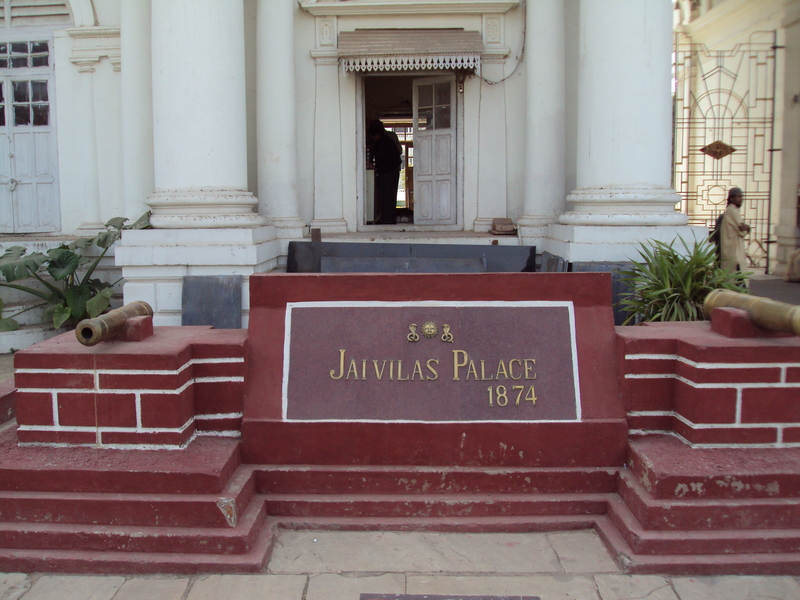 Constructed in 1874 and designed by Lt. Col. Sir Michael , Jai Vilas Palace is located in the new city of Gwalior. 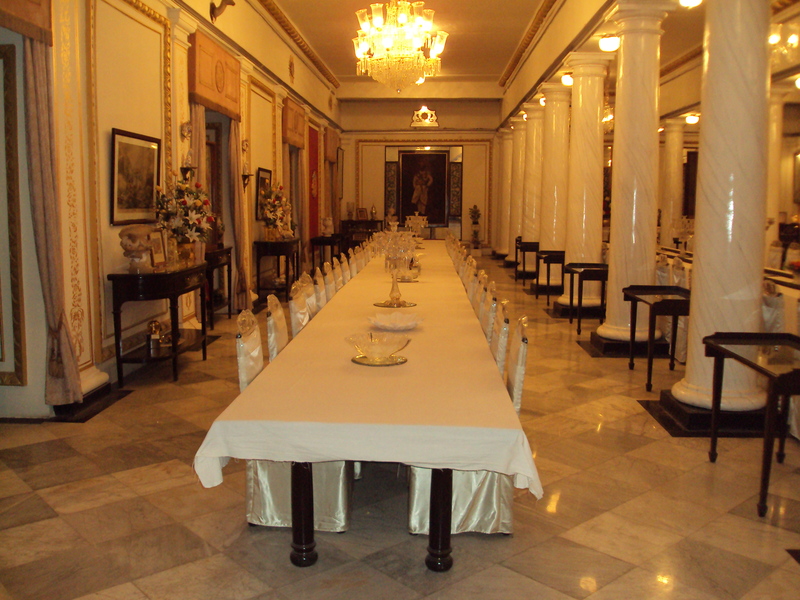 It was house of the royal family of Scindias and now has been converted into museum . 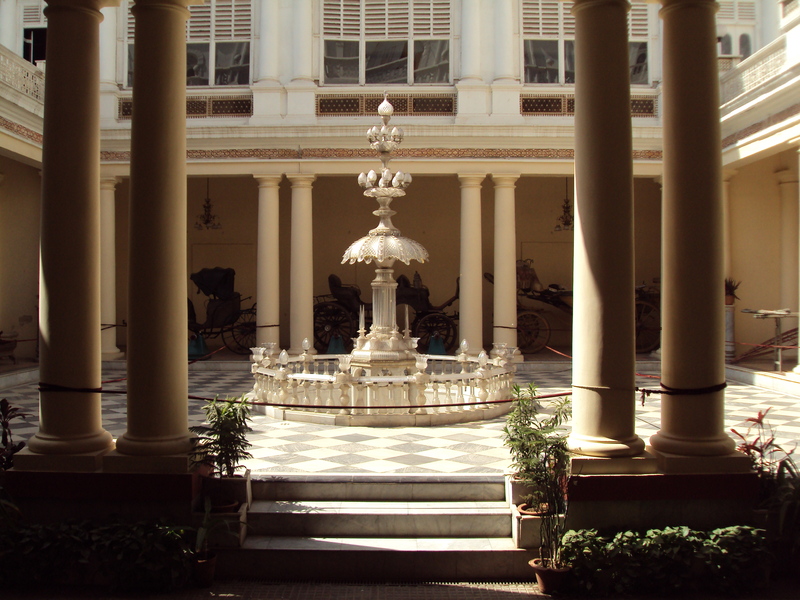 ” The Tuscan and Corinthian architectural modes are combined in Jai Vilas. 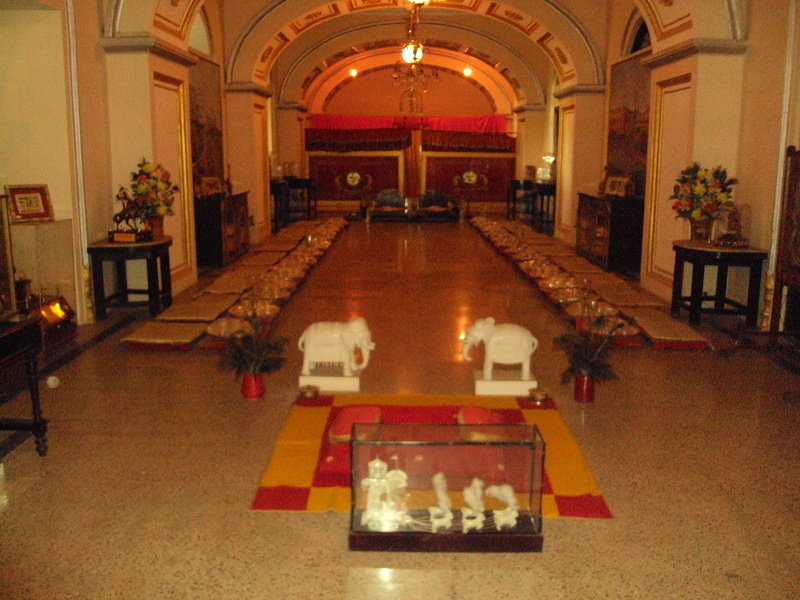 The Darbar hall of the Palace is an imposing structure. 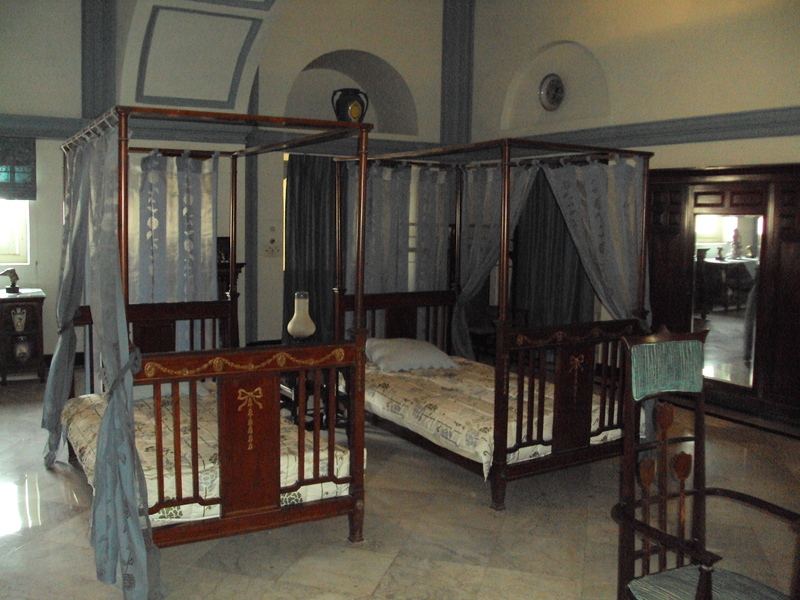 Covered with heavy draperies and tapestries, fine Persian carpets and furniture from Italy and France occupy the spacious rooms. 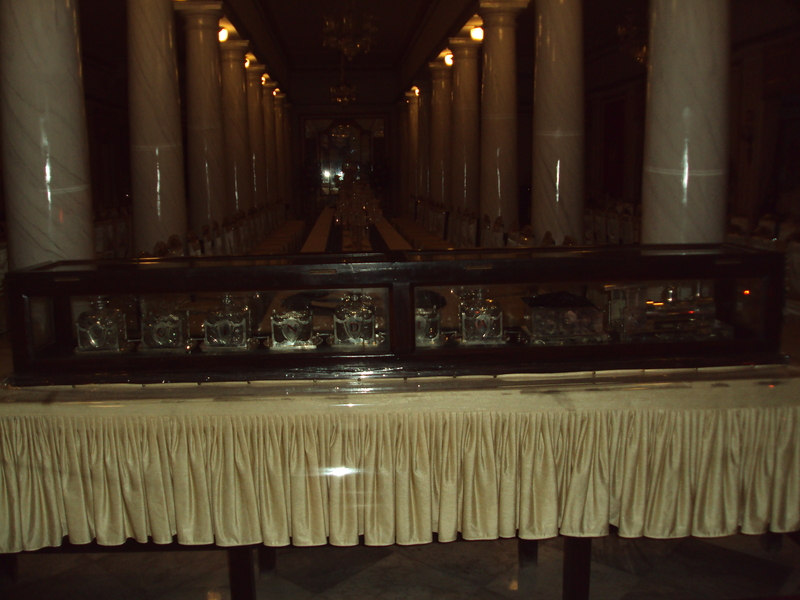 The treasure of the palace includes a silver train which has cut glass wagons carrying wine and cigars after dinner, a glass cradle used for Lord Krishna on every Janamashtami, swords once worn by Aurangzeb and Shah Jehan. After going through the palace and watching everything intently , I came out of palace . If I remember correctly , it was my third visit of the palace . And this time I watched everything with care and attention . As usual , after my visit , I was wondering whether I would be able to come here again or not ? 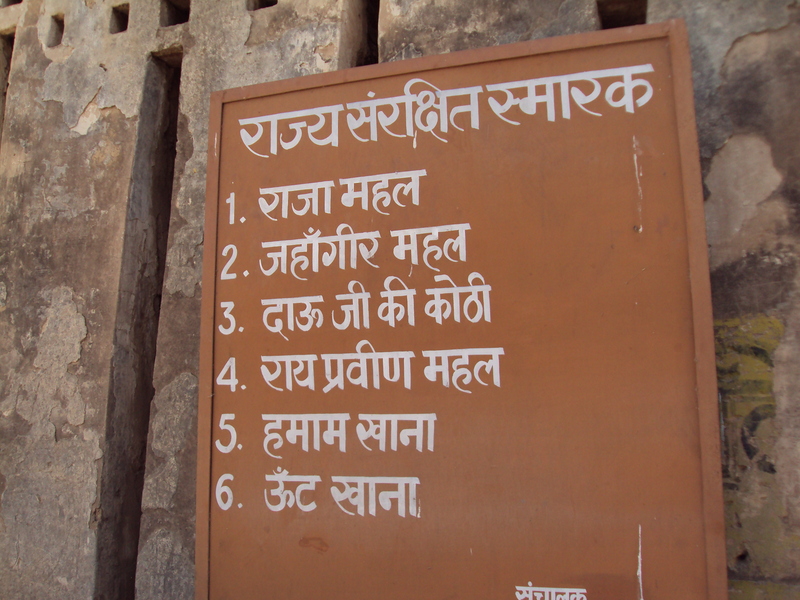 Remembering these famous lines of Hindi poet Agyeya , I proceeded towards Gwalior fort . MUMBAI – MAHARASHTRA – INDIA APRIL 18 , 2012 03.15 P.M. 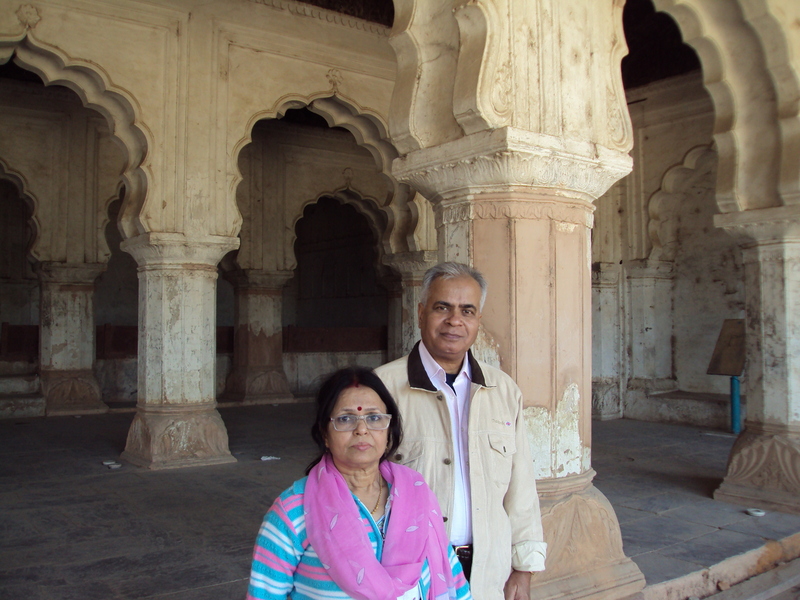 I flew to Gwalior on February 27th , 2012 by afternoon Air India flight . 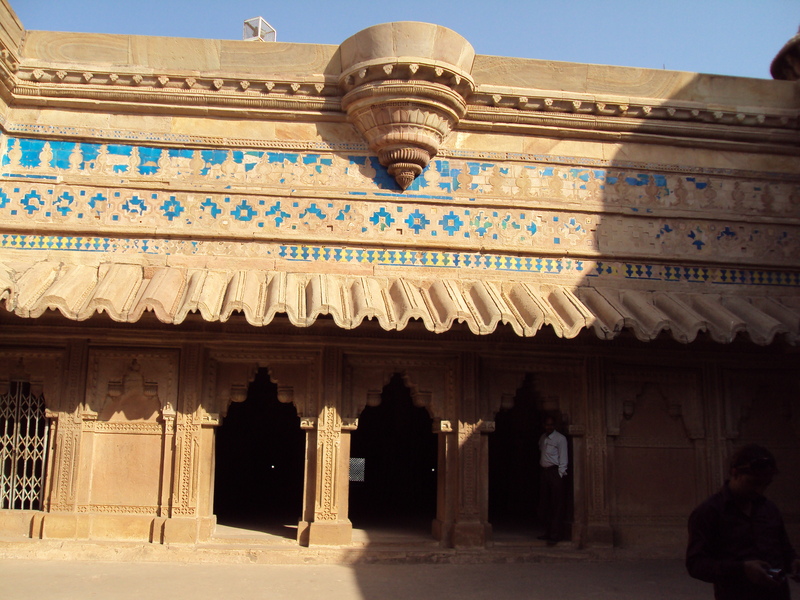 I have lost count of my visits to Dabra and Gwalior . 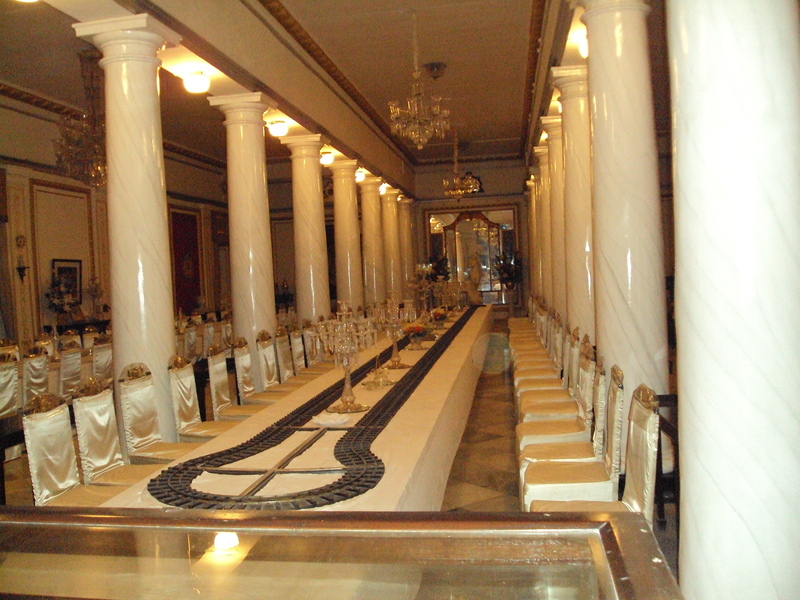 It is place of my in – laws , so I have to visit it again and again for some function or the other . This time I went for the house – warming party of my youngest brother – in – law Shri Ashok Tiwari . Party was on March 1st , 1012 . 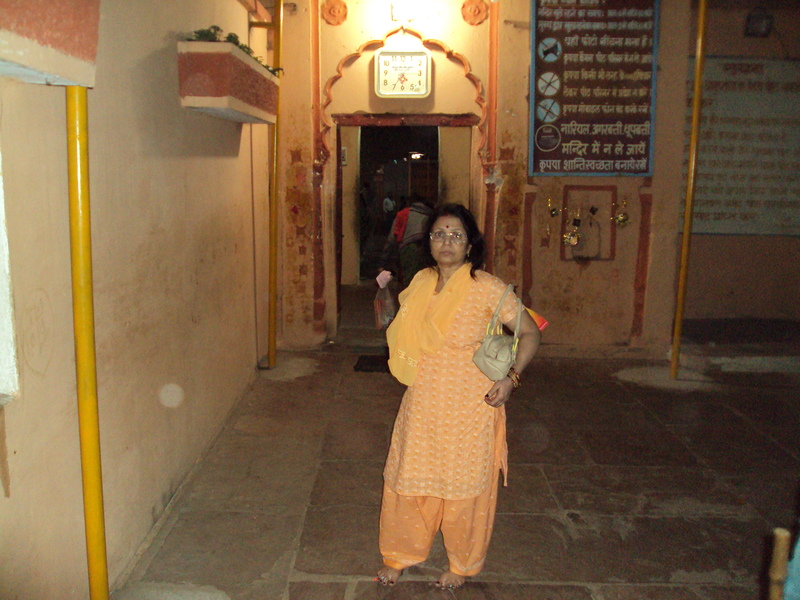 But I went 2 days earlier because this time I wanted to visit Datia , Orchha and several places in Gwalior city also . I landed at Rajmata Vijaya Raje Scindia airport at Gwalior in the evening . It is new airport and is quite small compared to other known and older airports . But it is very convenient for me because it connects Mumbai and Gwalior directly . I landed and immediately proceeded to Datia by car . 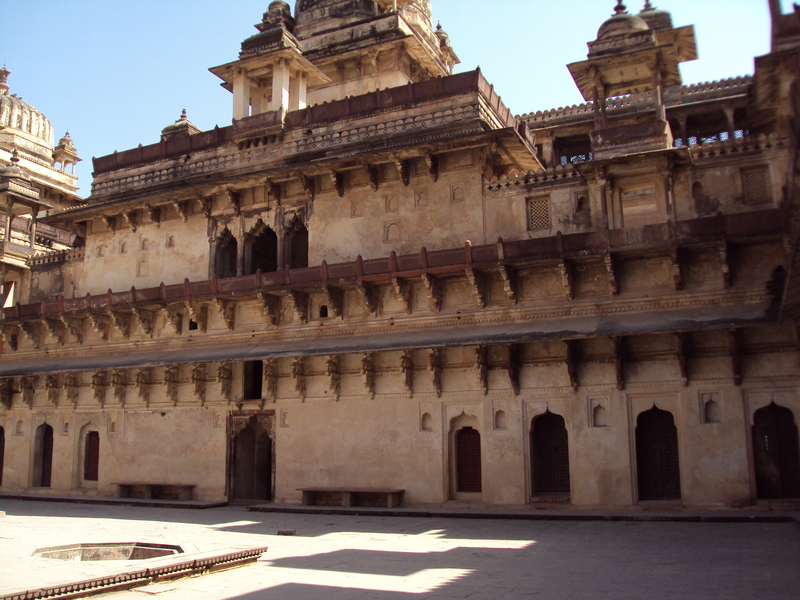 Datia is a small district , sandwiched between Gwalior of Madhya Pradesh and Jhansi of Uttar Pradesh . Highway connecting Gwalior to Jhansi is being re-done. After completion it is going to be a boon for travellers . Few km. of the road which is complete , is testimony to this fact . Datia has nothing much to offer . It is very old district but it is still a small town . 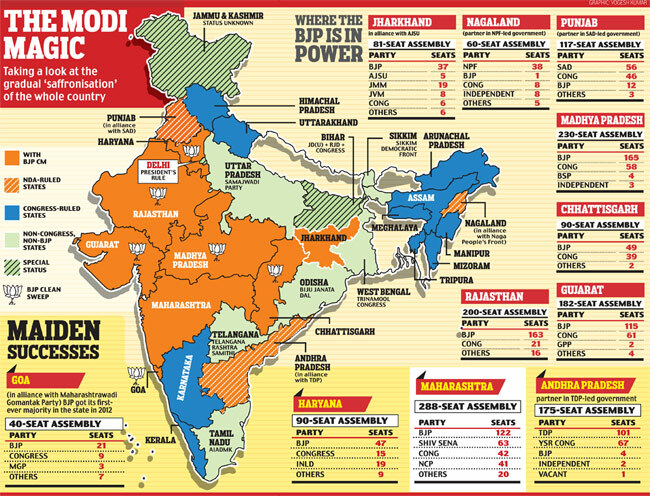 It has only 445 villages and just 3 towns ; Datia , Seondha and Bhander . It comes under Gwalior Division and could be approached through rail and / or road . 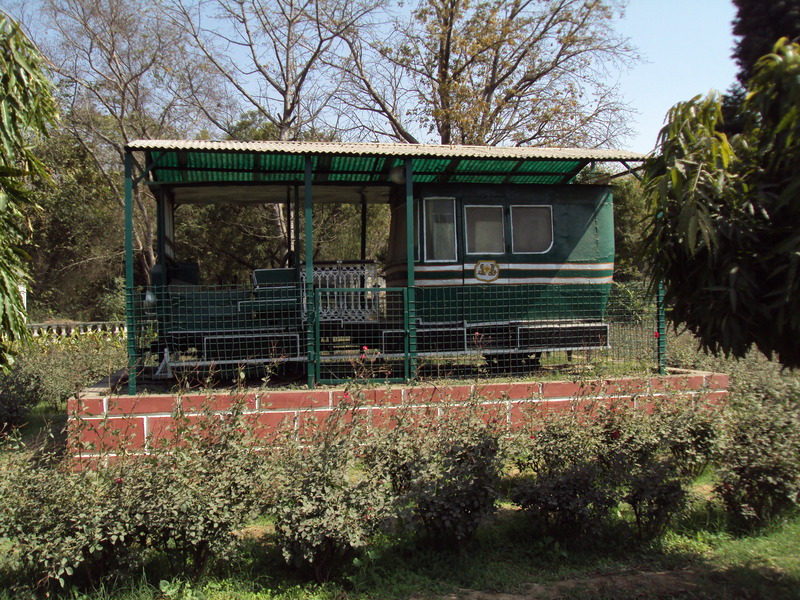 Datia railway station lies in between Jhansi and Gwalior . 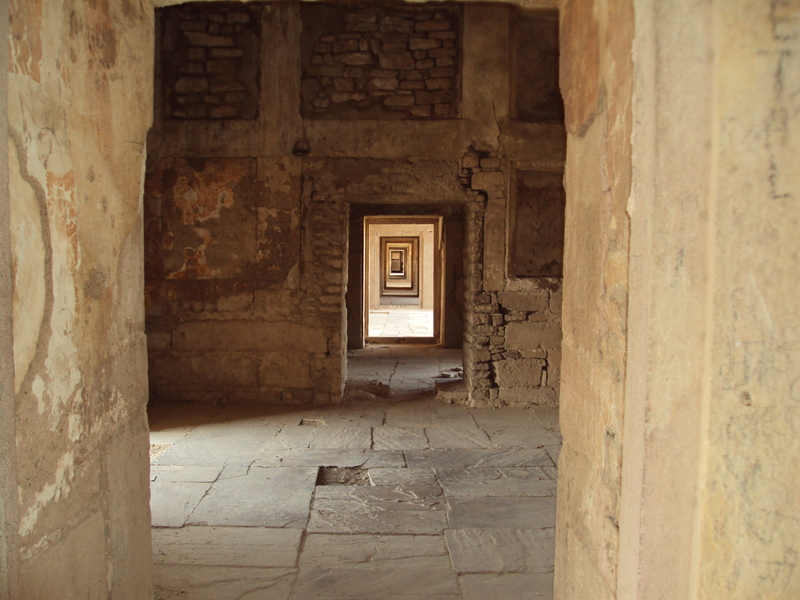 There is nothing much in Datia for a wanderer like me . But it has world-famous temple of Durga Mata . 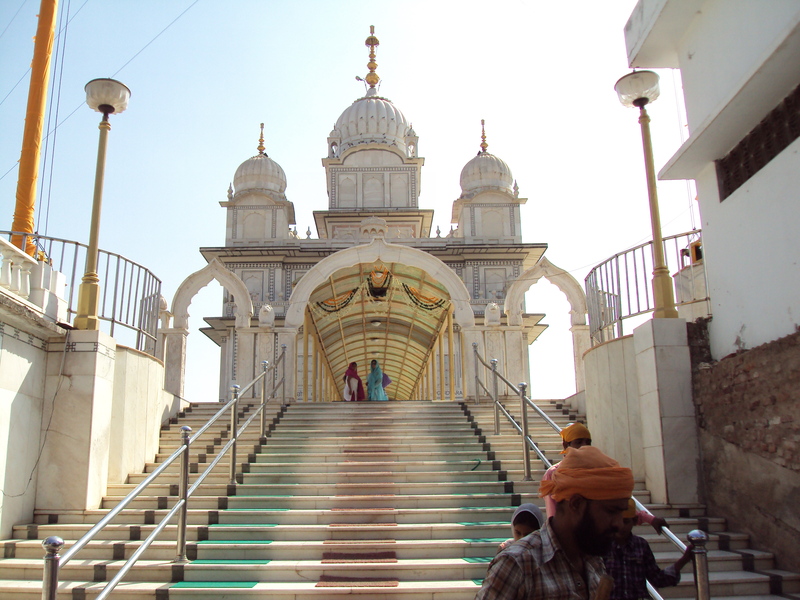 In popular parlance this temple is known as Peetambara Peeth . 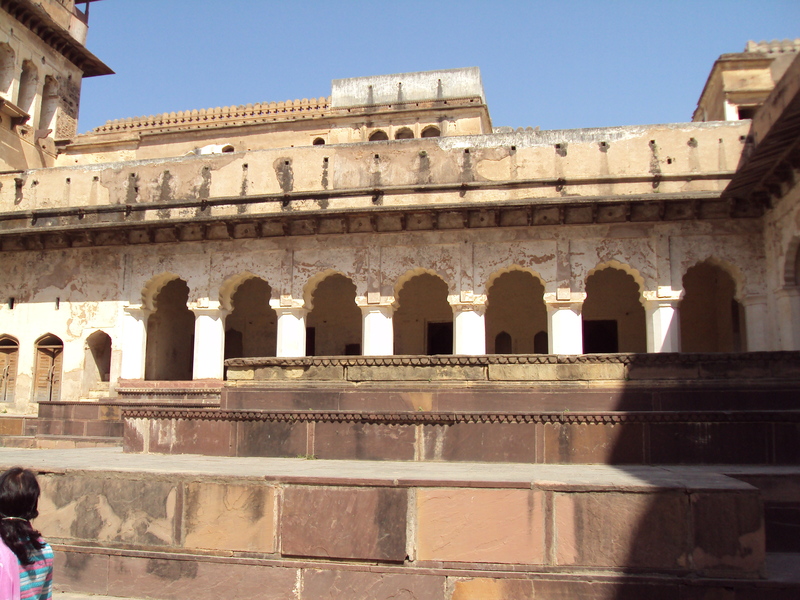 Apart from Peetambara Peeth , Datia has Hanuman Garhi and a palaces known as Purana Mahal . 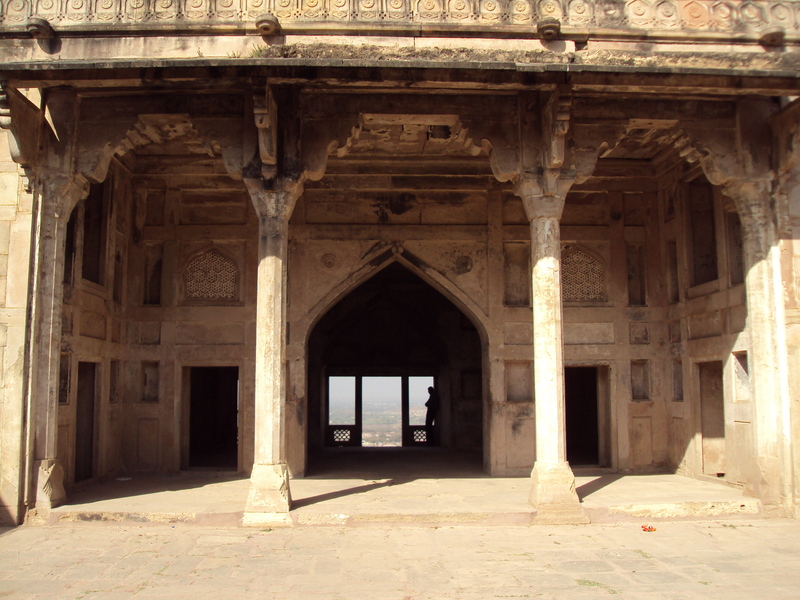 It was built for Mughal Emperor Jahangir, though he never visited Datia . 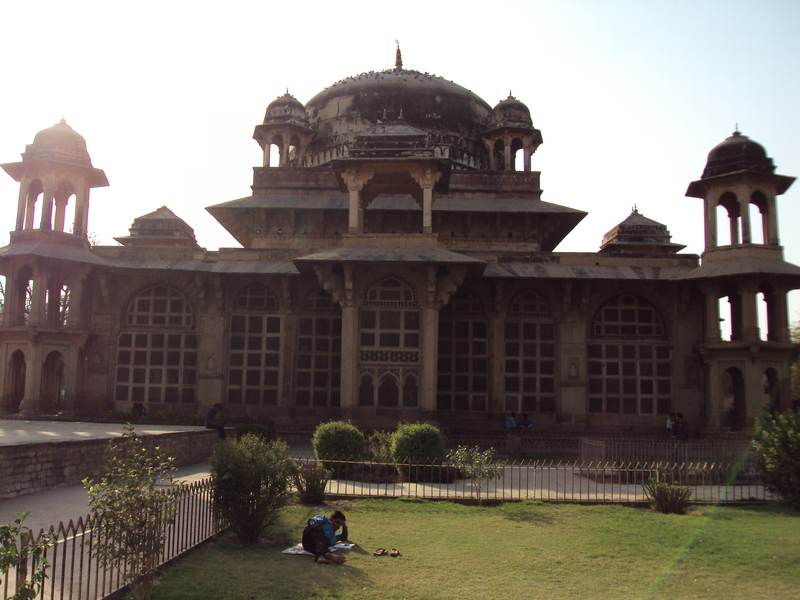 This palace is visible from the train and road , when you travel from Jhansi to Gwalior . 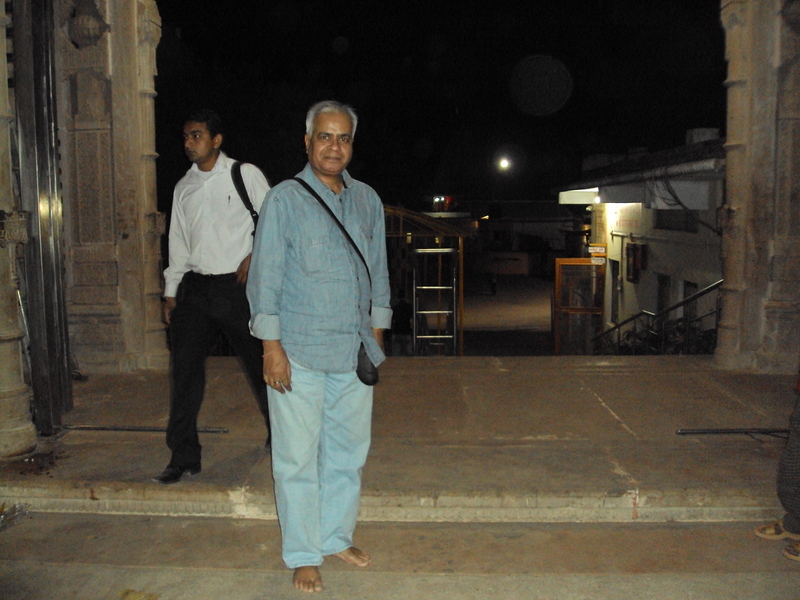 I paid obeisance to Peetambara Peeth and immediately returned to Dabra in the night . 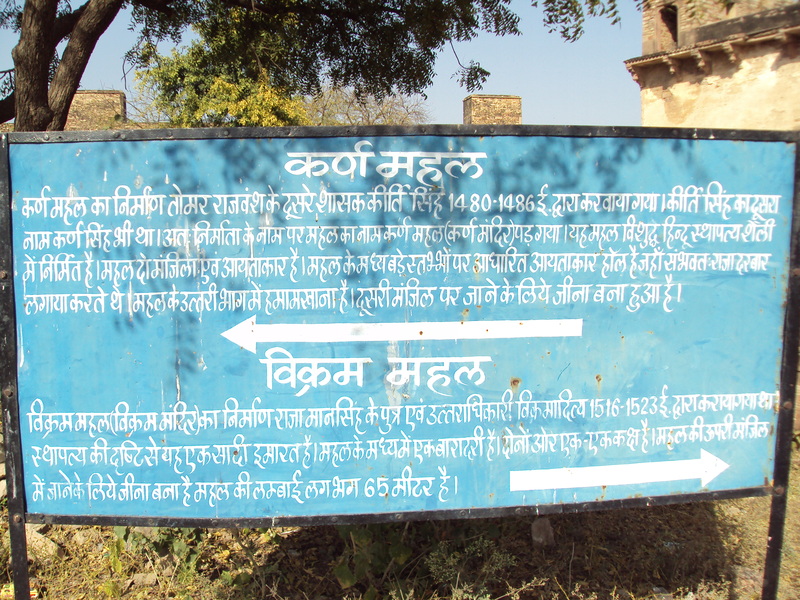 I am not sure when I would be visiting Datia again . 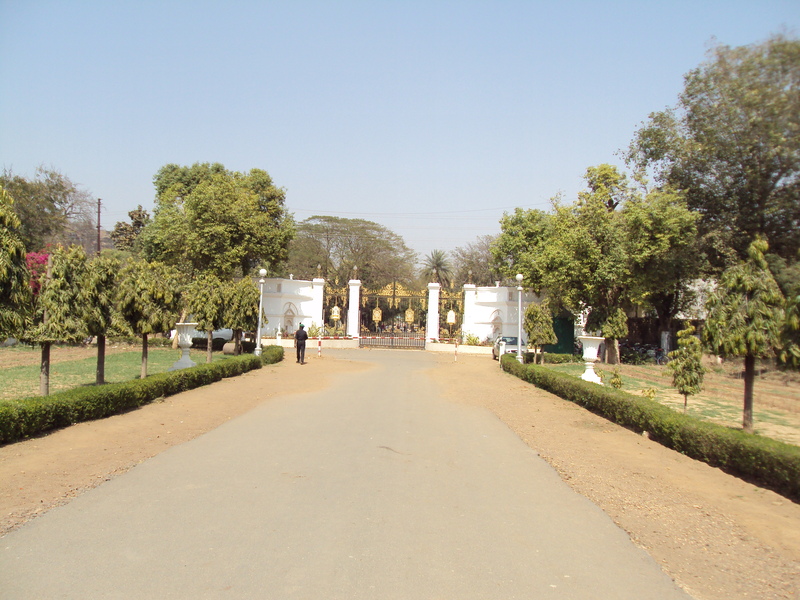 May be I will go there , when I visit Dabra again for some function . MUMBAI – MAHARASHTRA – INDIA APRIL 16 , 2012 05.00 P.M. It is 35th edition of my film diary . Next month my film diary will complete 3 uninterrupted years . I normally post my film diaries on the 1st of every month . This time I was in Manali and there was no network there, so could not post it as per my norm . #TereNaalLoveHoGaya *India* Fri 1.9 cr, Sat 2.5 cr, Sun 3.4 cr, Mon 1.5 cr, Tue 1.4 cr, Wed 1.2 cr. Total: Rs 11.9 cr nett. Rock-steady! #TereNaalLoveHoGaya [Week 2] is maintaining very well, despite reduction in screens/shows. Fri 82 lacs. Total: Rs 13.82 cr nett. #TereNaalLoveHoGaya collected Rs 3.77 cr nett, taking 10-day total to Rs 16.77 cr nett. Fri 87 lacs, Sat 1.2 cr, Sun 1.7 cr. Rock-steady! #JodiBreakers had a drastic fall in Weekend 2. Will entail heavy losses. Flop. ‘Will You Marry Me?’ has had an extremely poor opening weekend. Flop. Despite reduction in shows on Thu [due to Holi], #PaanSinghTomar and #TNLHG were better/at par with Mon figures. Excellent! #Kahaani 3rd weekend 5.5 cr. Total so far: Rs 48.55 cr nett. Extra-ordinary! 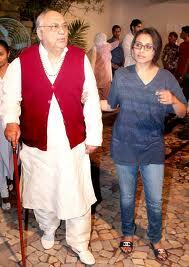 #Kahaani collected Rs 8.5 cr nett in Week 3, taking the 3-week total to Rs 51.55 cr nett. Super Hit. 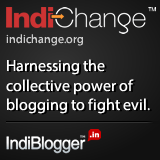 TERE NAAL LOVE HO GAYA review: bit.ly/w2iTxi – The entertaining 2nd half & hit music save it & make it a plus fare for Tips & UTV. 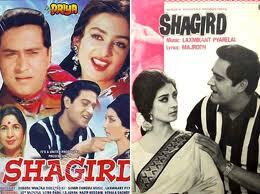 A music director , who never got his rightful due , Ravi Sharma gave us some of the all time hits of Hindi film music . 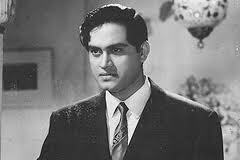 A popular star of 60s , Joy Mukherjee died in Mumbai recently . 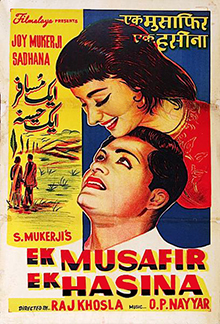 Art director of films like ; ” Holi ” [ 1984 ] , ” Mirch Masala ” [ 1985 ] and ” Maya Memsaab ” [ 1992 ] , Ashish Lakhia died on March 11 , 2012 in Ahmedabad . He was 49 at the time of his death . Aditya Lakhia [ Kachra of ” Lagaan ” ] is his brother and director Apoorva Lakhia is his cousin . Apart from art direction of above mentioned films directed by Ketan Mehta , he made several documentary films also . Out of all the …………15 ………. films released in March , there were …………. 08 ………. actors trained by me working in …….. 06 ……… films . Out of these ………. 08 ……….. students ……… 06 …….. are actors. 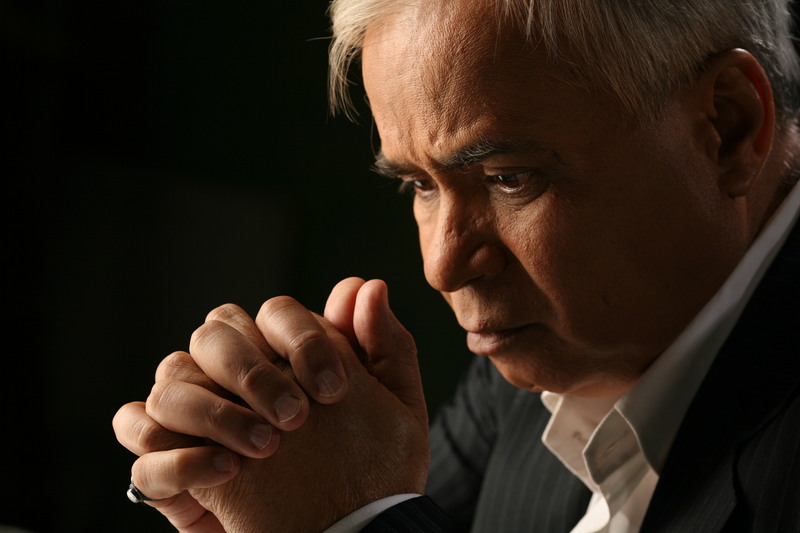 ……… 01 ……..Samir Karnik is director and ……… 01 ………. 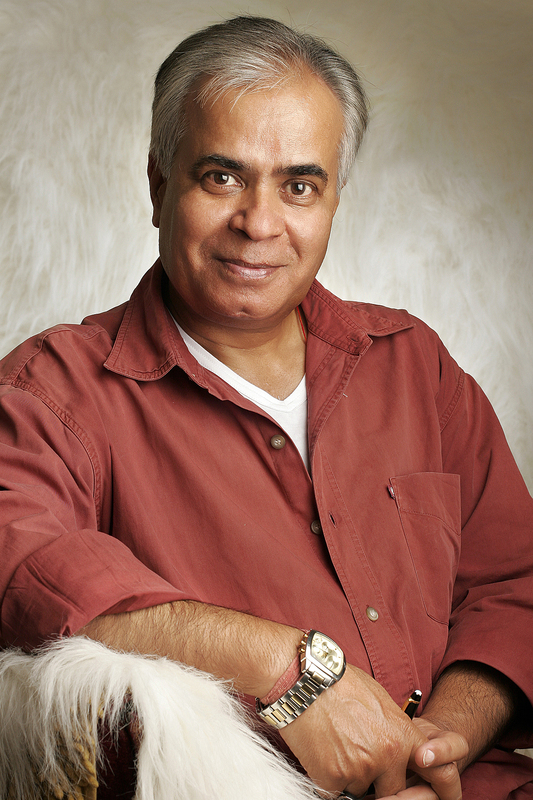 Shekhar Ravjiyani is music director . 1 – Mrunal Jain is playing an important role in ” Hitler Didi ” on Zee TV . MUMBAI – MAHARASHTRA – INDIA APRIL 16 , 2012 01.15 A.M.
Joy Mukherjee , a popular actor of yesteryear , mainly 60s , died on March 09 , 2012 in a Mumbai hospital at the age of 73 . 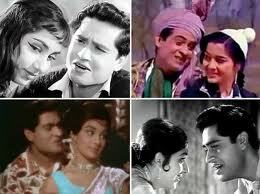 Let me admit in the beginning that I was never a fan of Joy Mukherjee . But I do admit that Joy Mukherjee was one of the successful stars of Hindi film industry during my school , college and university days . And his death brings to my memory many discussions , many heated arguments with friends , about his position in the film industry , which was dominated by a triumvirate ; Dilip Kumar , Dev Anand and Raj Kapoor . 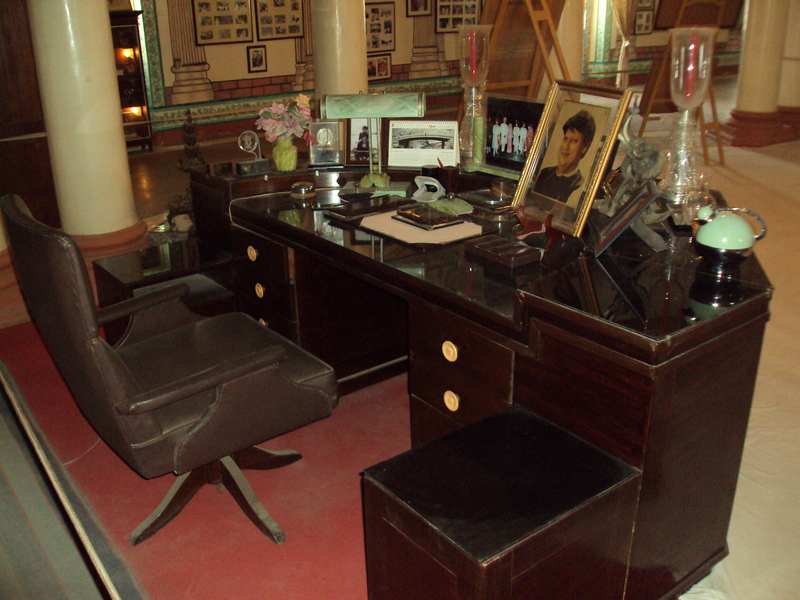 I have many dog – eared magazines in my Deoria house , which carries articles and photos of Joy Mukherjee . I suddenly remembered some of his silver jubilee hits like ; ” Love In Shimla ” [ 1960 ] , ” Hum Hindustani ” [ 1960 ] , ” Ek Musafir Ek Hasina ” [ 1962 ] , ” Phir Wohi Dil Laya Hoon ” [ 1963 ] , ” Ziddi ” [ 1964 ] , ” Door Ki Awaaz ” [ 1964 ] , ” Bahu Beti ” [ 1965 ] , ” Saaz Aur Awaaz ” [ 1966 ] , ” Love In Tokyo ” [ 1966 ] , ” Shagird ” [ 1967 ] ” Humsaya ” [ 1968 ] , ” Ek Kali Muskai ” [ 1968 ] and ” Ek Bar Muskura Do ” [ 1972 ] . ” Haiwan ” [ 1977 ] was his last film . Bahut shukriya hai badi meharbani , meri zindagi men huzur aap aaye ………. Dil vil pyaar vyaar , main kya janoo re ……………..
O bade miyan deewane , aise na bano …………………..
Wo hain zara khafa khafa ……………………..
Raat ka sama , jhoome chandrama , dil mora nache re jaise bijuria ………..
Banda parwar tham lo jigar , banke pyar phir aaya hoon …………………. Le gayi dil , gudia japan ki , pagal mujhe kar gayee …………………. Sayonara , sayonara , kal phir aoongi sayonara ………………..
Na tum bewafa ho , na ham bewafa hain ………………………. Wo haseen dard de do , jise main gale laga loon ……………………. Dil ki awaaz bhi sun , mere fasane pe na jaa ……………………. 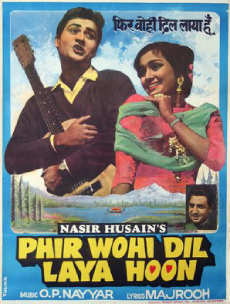 When his innings as lead actor ended , he produced and directed ” Hum Saya ” [ 1968 ] with himself in the lead . Unfortunately film bombed at the box office . 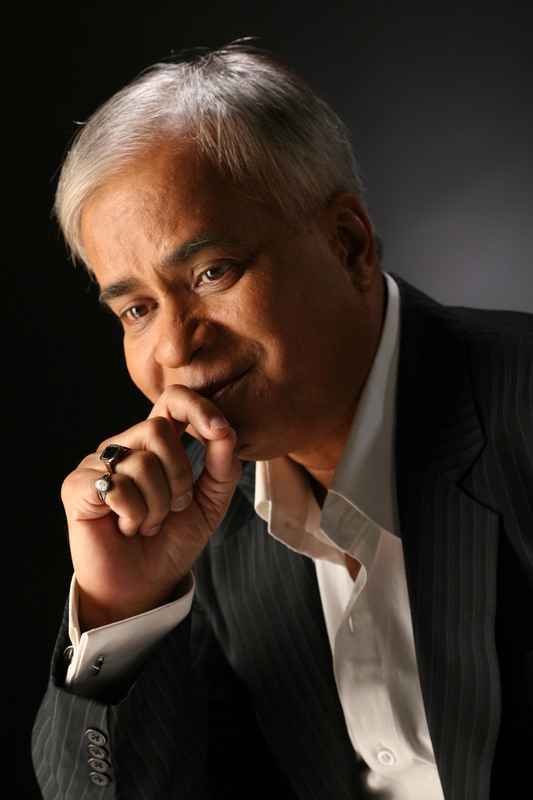 He , later on directed ” Chhaila Babu ” [ 1977 ] and ” Fifty Fifty “ with Rajesh Khanna and Zeenat Aman . He , in 2009 , also worked in a TV serial ” Ae Dil – E – Nadaan “ . 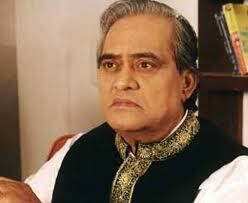 He was son of Ashok Kumar‘s sister , who was married to producer and studio owner Sashadhar Mukherjee . 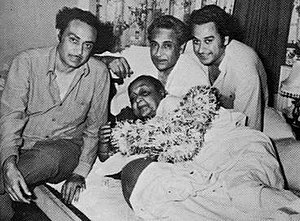 So Ashok Kumar , Kishore Kumar and Anup Kumar were his maternal uncles . 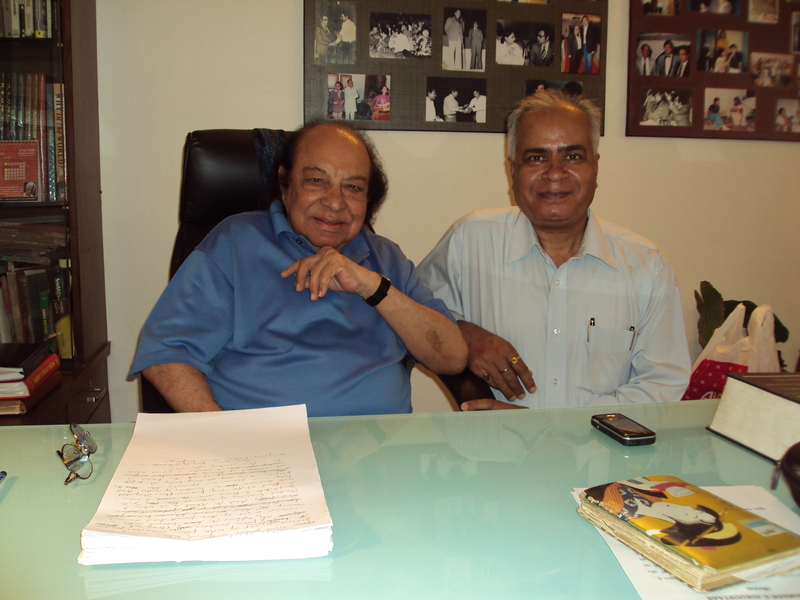 Famous film makers Subodh Mukherjee and Ram Mukherjee are his paternal uncles . 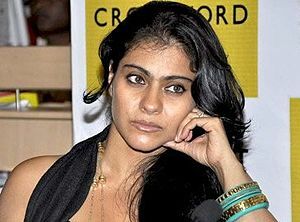 Famous Hindi film actors ; Rani Mukhejee , Kajol and Sharbani Mukherjee are his nieces . Deb Mukherjee is his younger brother , whose son , Ayan Mukherjee directed ” Wake Up Sid “ and now directing ” Yeh Jwaani Hai Deewani “ . Ayan’s sister and Deb Mukherjee’s daughter is married to Ashutosh Gowarikar . He belonged to an illustrious family . He had very successful innings as a lead actor . 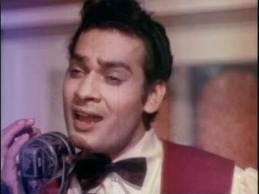 During his hey – days , he was known as Shammi Kapoor of poor producers . I had privilege to visit his residence at Yari Road during Durga Pooja . 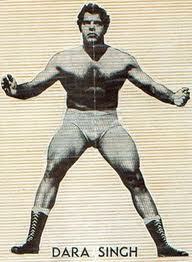 I had trained his son , Boy Mukherjee , also , who made his debut with Mala Sinha’s daughter Pratibha . It was an honour to meet him . It is sad that one more symbol of my younger days is gone . A chapter of my life is finally closed .